Steve Jobs has always said that Android was established from its very beginning to be nothing more than a copycat operating system, that he would do everything he could to stop Android at all costs. And yet, despite Steve Jobs’s demise, Android has continued to grow, thrive, and prosper, up until the present time with the Pixel and Pixel XL. Android has succeeded to the point where it has become the world’s most popular mobile operating system, far outpacing iOS when it comes to worldwide adoption. Apparently, Android has been nothing like the “copycat system” Steve Jobs said it was. And Google, having purchased it from Android Inc. owner Andy Rubin (“Android” was a nickname given to Rubin when he worked for Apple due to his love of robots), has been good at bringing great services and capabilities to Android. In Google’s latest work, it has been bringing Android apps to its Chromebooks, laptops that run Chrome OS, its portable PC platform named after its mobile web browser. Google’s brand of smartphones has been the developer-friendly “Nexus” series, and it has put Google lovers at the very front of all that happens within Android. Nexus smartphones have gotten the latest Google updates such as Android 6.0 Marshmallow first, and the fastest updates in Android have made Nexus devices coveted for some. And yet, for all the work Google put into Nexus devices, they never sold. Year after year, Google would get the same poor sales numbers. It’s been apparent that the search engine giant has wanted to sell phones because it’s pointless to put a phone on the market year after year if you don’t want to sell it, but the Nexus series never caught on with everyday consumers. In fact, Google tried to bring the Huawei Nexus 6P and LG Nexus 5X to Verizon last year in an attempt to win the majority of the consumer base here in the US. 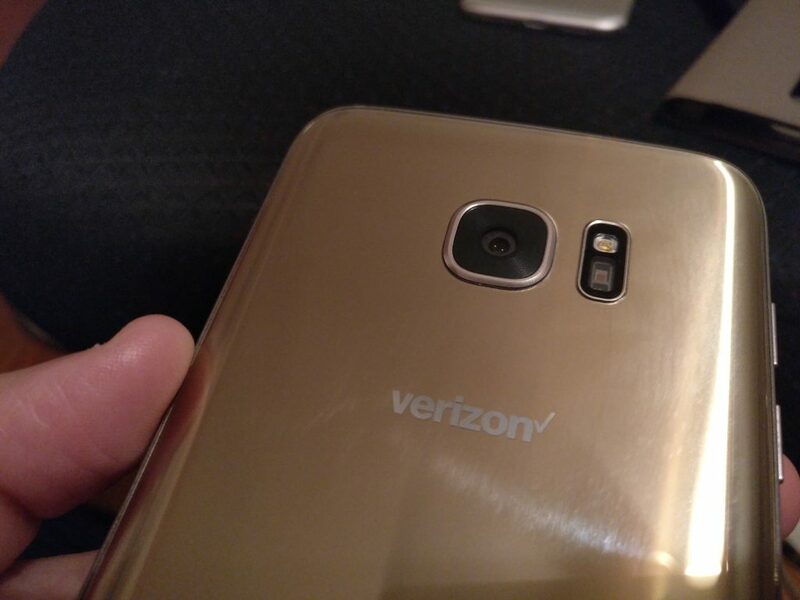 Due to some issues with Verizon and certification, the device didn’t launch as quickly as Google intended it to – which, of course, translated into low sales numbers and demand. But Google has been trying to get into the smartphone race for some time now, and this year, took a step back to reassess how it could finally make a phone that would sell. Its result? 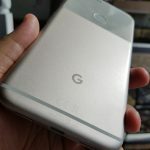 The Google Pixel and Pixel XL, two smartphones with Google branding (a step out of character with Nexus device branding that would include both Google and an Android OEM, not just Google only) that has more than enough similarities with the iPhone 7 and iPhone 7 Plus in design to make it seem as if Google set out to create an iPhone running Android this year. The question, as always, comes down to whether or not Google’s newly-branded “Pixel” phones are worthy of your time and money. Are they? We now take a look at what the Pixel and Pixel XL have to offer. 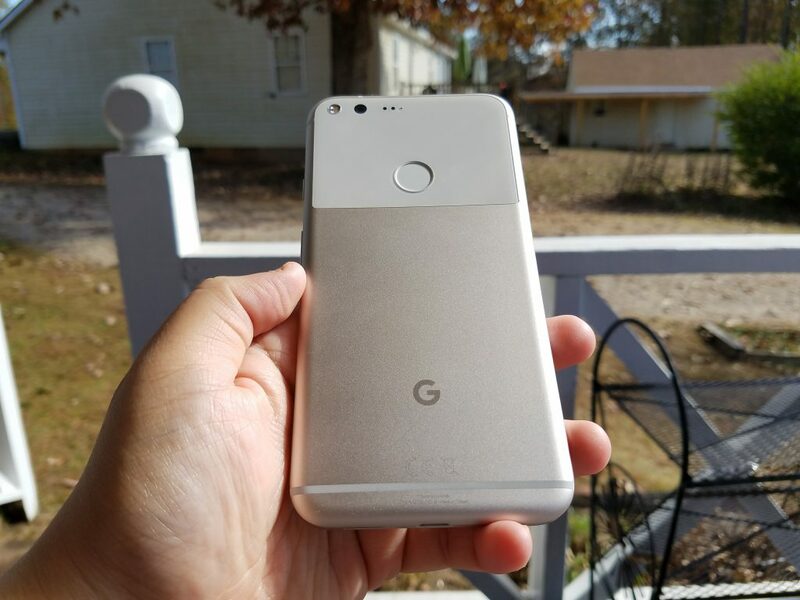 Just for the record, I have purchased a 128GB Very Silver Google Pixel XL with Verizon (who has achieved the carrier exclusive for the Pixel phones in the US). The Google Pixel and Pixel XL sport the same design, so this is a case of one-size-fits-all. The front of the device features the front-facing 8MP camera at the top left, alongside of a speaker and a gesture sensor beneath it. The bottom of the display features white software buttons with a bottom white bezel that seems fit for a physical home button that Google didn’t add. The bottom white bezel is excellent for holding the Pixel XL in landscape mode – but it just seems out of place in terms of design. It seems akin to LG’s G5 where the bottom, detachable piece merely contains “LG” and the company logo. Of course, the bottom portion of the G5 is detachable and serves to create a quasi-modular experience, but there is no reason for such a large bottom bezel on the Pixel and Pixel XL. I honestly wish Google had placed a physical home button on the device. Since the Pixel and Pixel XL are designed to attract iPhone users, perhaps adding a home button to future-generation Pixels would help ease the transition. The iPhone 7 and iPhone 7 Plus are moving away from the physical home button, but not every customer is ready to make that transition just yet. I find hardware home buttons to be a welcome addition to any device (but I realize that they don’t appeal to everyone). The bottom of the device shows what appears to be two speakers and a USB Type-C charging port. Google says that it has a “single bottom-firing speaker,” though, which means that the other cut-out slot is really just for the sake of aesthetics (or a microphone, some say) rather than actual functionality. The audio speaker output is extremely weak, though, and doesn’t hold a candle to Samsung’s Galaxy S7 and Galaxy S7 edge. 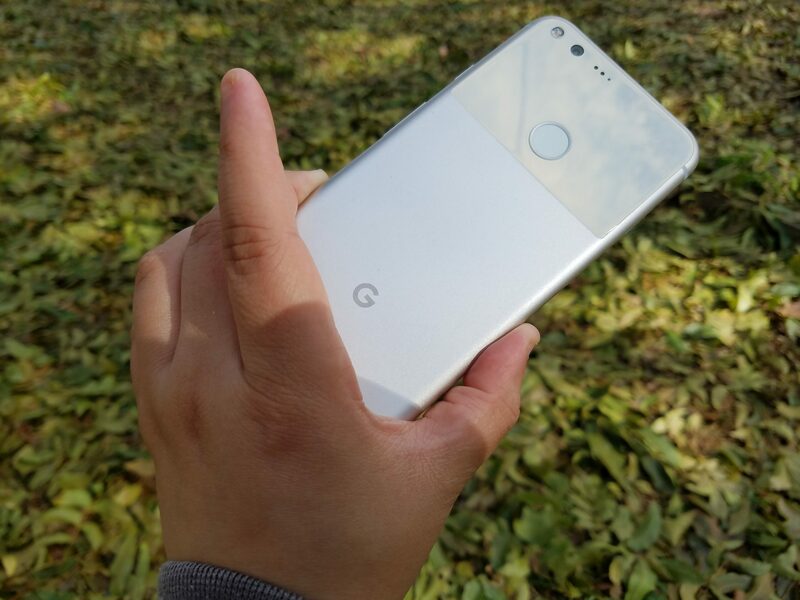 Turning the device over, the Pixel XL features an LED flash to the left of the 12MP back camera, which has sensors to the right of the back camera. Beneath the back camera, flash, and sensors are the back-mounted fingerprint sensor that lacks the power button capabilities of the back-mounted fingerprint button of the LG G5. The back-mounted fingerprint scanner has some gestures that make it stand apart from other back-mounted fingerprint scanners, but the implementation of back-mounted scanners isn’t as effective as their alternative. Fingerprint scanners and sensors placed on a hardware home button below the display on the front of the device are better suited for smartphones and most phone situations. Front-mounted or back-mounted fingerprint sensors or scanners aren’t perfect, but front-mounted ones suit the majority of customers. There’s a simple reason for fingerprint sensor-embedded home buttons: the display of a smartphone is on the front of the device, not the back. 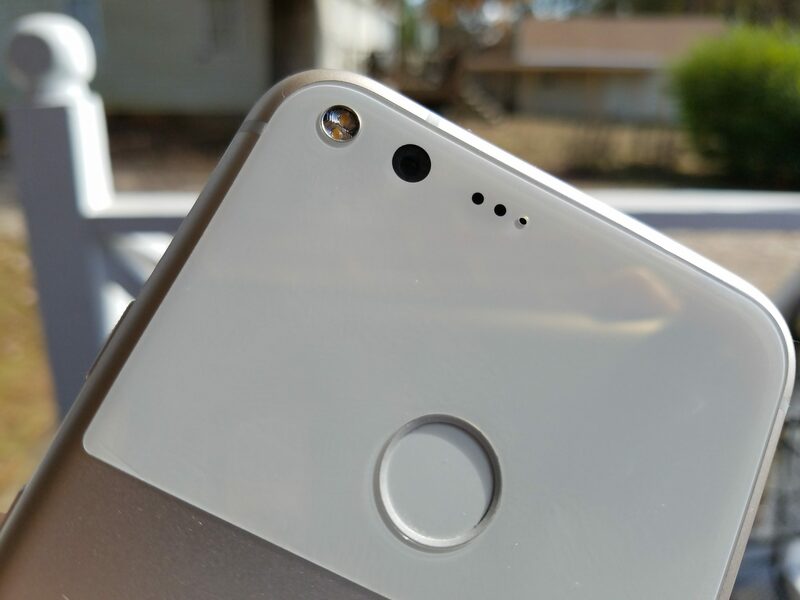 When someone is watching a movie and has the Pixel XL on a kickstand, or has the phone on a table, the back-mounted fingerprint sensor becomes inaccessible and unusable in the moment. What good is a fingerprint sensor if you can only use it at certain times and not all the time? Sure, Google Assistant can unlock the device by way of voice detection when enabled, but users who don’t want to enable Google Assistant must pick up their phone and place their finger against the sensor whenever they want to unlock their device. The fingerprint sensor denies the ease of use that could be achieved by way of a home button on the bottom white bezel that could serve two purposes (home button, fingerprint unlock) in one. The front of the device seems unified, but the back of the Pixel and Pixel XL is where you start to see that Google just isn’t ready yet for the high-end premium segment. Yes, the Pixel and Pixel XL are made of glass and aluminum metal (glass on the front, aluminum and glass on the back), but the back of the phones are nothing short of tacky. 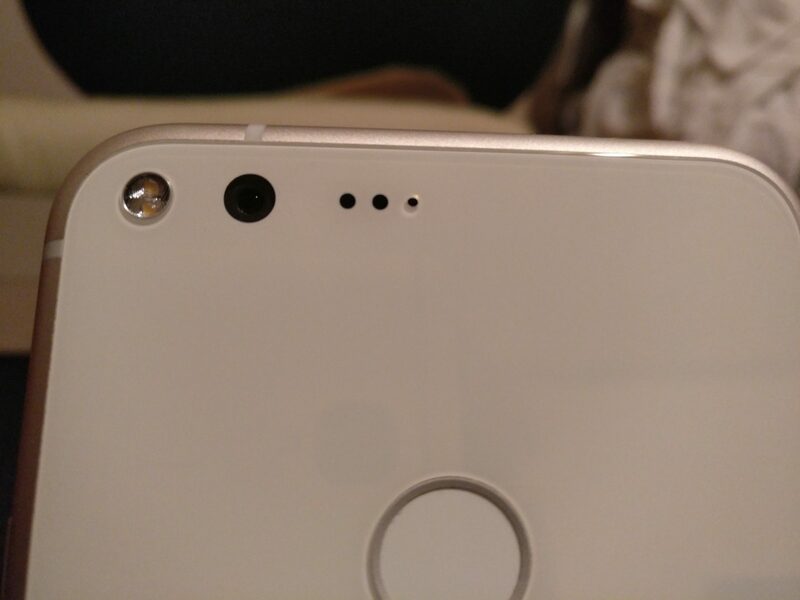 The top of the device is made of white glass replacing the hideous black bar on the back of the Huawei Nexus 6P, but it seems out of place when you consider that the first one-third of the back cover is glass and the remaining two-thirds of the back are metal. It looks as if the iPhone 4s and the iPhone 5 had a baby, and this is not what good design is. Samsung has done its own take on glass and metal in the Galaxy S7 and S7 edge, and the design seems uniform: the glass panels wrap around the device, but the phone itself above the glass panels is made of aircraft-grade aluminum. Google tried to pull off a Samsung/Apple hybrid design this year and made some terrible design decisions. The top glass portion was needed for the durability of the fingerprint sensor; why not have gone all the way with a glass back instead of having a hybrid of glass and metal in the most unusual way? The glass and metal mix, horribly done, continues when you look at the sides of the device and see that the glass portion meets the aluminum sides of the device that have chamfered edges and antenna bands that you’d expect to find on an aluminum metal design. It appears as though the majority of the phone’s design is metal, with a small glass portion that was “practical” for the fingerprint sensor, motion sensors, camera, and LED flash. Google did rebrand its devices this year, giving them the “Pixel” name instead of “Nexus” for reasons that still remain unknown, and it seems as though they had a terrible time renaming these Pixel phones that feature the company’s “G” logo at the bottom of the back cover. Keep in mind, though, that the “G” is the reason behind the saying that Google has built the Pixel and Pixel XL “from the ground up.” As I’ve said before, though, the Samsung AMOLED display and Qualcomm Snapdragon 821 processor show that Google did not build everything about its devices. The “G” branding implies that this is Google’s phone in hardware and software, but how can the hardware be credited to Google when Google didn’t manufacture its own AMOLED panels and craft its own processor? Additionally, the design is practically the iPhone with some slightly chamfered edges and a small portion of glass on the back cover. HTC has built an original device with its HTC 10, and a better design, so the design choices here are Google’s – which tells you just how desperate Google has become in order to ensure its smartphones are a smashing success. The edges and antenna bands are quite reminiscent of HTC, too, which makes sense considering HTC’s role in manufacturing the Pixels. Still, it’s too reminiscent of the design decisions of both HTC and Apple, and Google should have done more to distinguish its phone design from the competition. The power/standby button and the volume rocker are both located on the right side of the handset (the display up, facing the user), but this button placement does not take into account that some right-handed persons (and all left-handed persons) use their phones in their left hand, and a volume button placed on the left as has been the case with the Samsung Galaxy S7 and Galaxy S7 edge would cater to left-handed users. 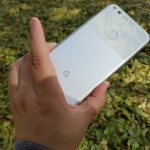 Google assumes everyone will use their Pixel phones in their right hand, but where is the nod to left-handed users? The “G” logo is deceptive, in my opinion. It assumes that the Pixel phones will work in a way that the Nexus phones do not, but it’s just branding. If the truth is told, Google employed HTC to build its Pixel phones in the same way that Google has employed LG and Huawei (and others) to build the Nexus phones of the past. The difference between the Nexus phones and the Pixel phones is that the Nexus phones featured logos from other Android OEMs whereas Google is forcing its partnering OEMs to live without any branding/attribution on Google’s new phones. HTC built the Pixels, but its name and branding are nowhere to be found because that’s how Google will do business with the Pixels. The 3.5mm headphone jack is on the top left of the handset, reminding us that at times, the search engine giant makes decisions that go against the typical “follow Apple” mentality that is widespread among lesser Android OEMs. Turns out that Google doesn’t always follow Apple in everything. The Google Pixel XL features a 5.5-inch AMOLED Gorilla Glass 4 display with a Quad HD screen resolution of 2,560 x 1,440p (534ppi). 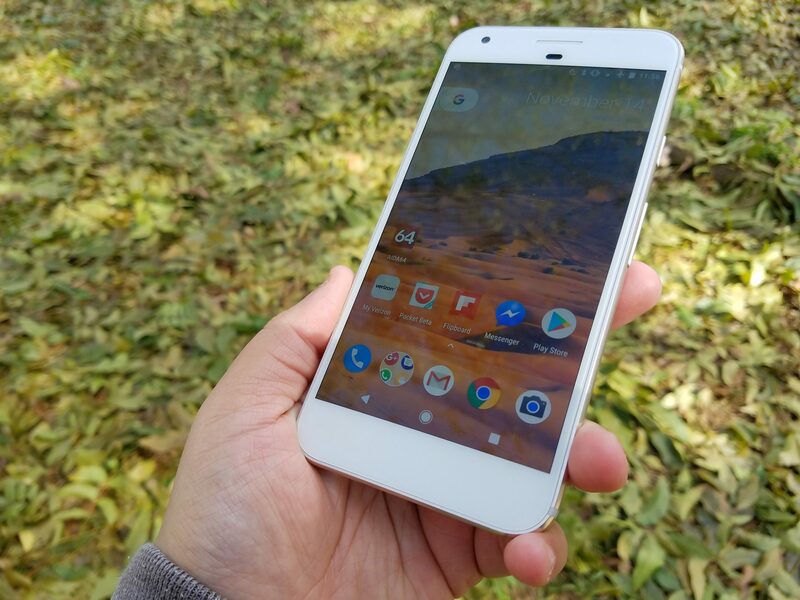 The Google Pixel has a 5-inch, Full HD display with a 1,920 x 1,080p screen resolution (441ppi). Google says that the Pixel and Pixel XL are “built from the ground up,” but the AMOLED panel isn’t “made by Google,” as the company’s marketing claims about its smartphones; rather, the devices have AMOLED panels supplied by Korean giant Samsung. As it has been said numerous times, AMOLED panels are the best in the business, with great color contrasts and dark, inky blacks. You won’t find the color saturation of AMOLED panels anywhere else. Google has done wise to go with AMOLED panels on its devices, as Motorola and other Android OEMs have done. At the same time, though, the Galaxy S7 edge’s AMOLED panel fares better in direct sunlight than that of the Pixel and Pixel XL despite Samsung’s hand in manufacturing both. Using “Adaptive Display” on the Pixels will help you achieve increased visibility to match that of the S7 edge, but the S7 edge wins by a landslide in terms of legibility if you’re looking to run out the door without playing around with settings of any kind. Both phones have AMOLED panels, but one is the clear winner and shows an added touch as opposed to the other. You’ll notice the difference instantly. The screen size, panel type, and screen resolution all match what you will get from Samsung’s Galaxy S7 edge, but the difference here is that Samsung actually crafted the panel of the S7, S7 edge, Pixel, and Pixel XL – while Google only purchased it. Kudos to Google for its panel selection, even if the marketing is just hype. 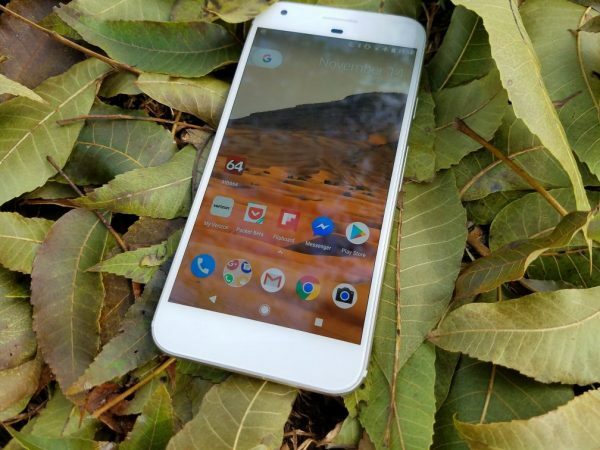 The Google Pixel and Pixel XL feature Qualcomm’s quad-core Snapdragon 821 processor with 4GB of LPDDR4 RAM. The Snapdragon 821 processor is an updated Snapdragon 820 and the newest on the market for now – though the Snapdragon 830 is coming. As for the 4GB of LPDDR4 RAM, Samsung is one of the world’s largest RAM suppliers for smartphones, and Samsung is also responsible for supplying the 4GB of RAM implemented into the Pixel and Pixel XL. The Snapdragon 821 is said to have 3x better upload speeds, 33% faster download speeds, and a 40% improved graphics and power boost (5% performance boost) and 10% processor performance boost over the Snapdragon 820. Samsung played a role in producing the Snapdragon 820, and the Snapdragon 821 utilizes the same 14-nanometer low-power process as the 820. 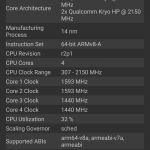 Thus, it can be said that Samsung played a role in the 821 as well, though the processor will go down in history as an incremental processor bump. And yet, for all its performance improvements, the Snapdragon 821 processor will still provide some device warming from time to time. I’ve encountered moments with the Google Pixel XL where the entire back of the device is somewhat hot to the touch (not just warm), which is a reminder that this is a Snapdragon processor we’re dealing with. 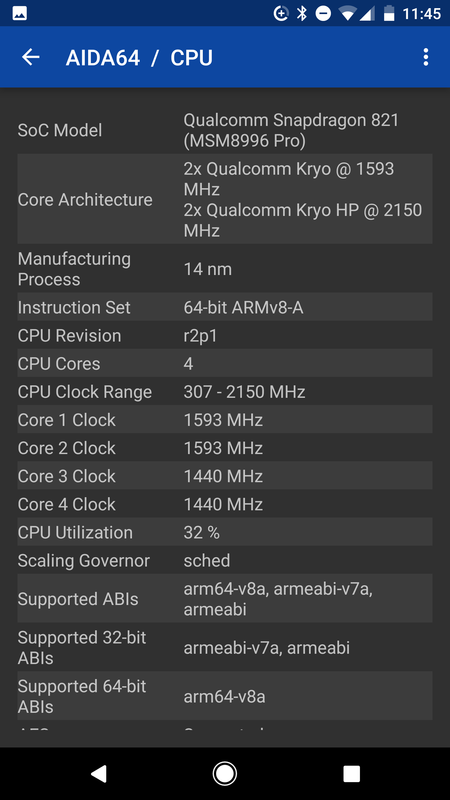 My experience with the Exynos 7420 processor finds that the Exynos processor is much better at remaining cool, as opposed to the Snapdragon 821 which, like all Snapdragon SoCs, does experience warming with every new processor. Whereas Samsung has provided a CPU cooling system in its Galaxy S7 and Galaxy S7 edge, you won’t find a counterpart in the Pixel and Pixel XL. The Pixel XL I’ve been using for some weeks now hasn’t slowed down in any way, a good sign of a high-end device that meets expectations. There have been some moments in which I’ve experienced slow internet issues that I haven’t experienced on any other handset, and the Snapdragon 821 is to blame for the generally fluid performance. Both the Pixel and Pixel XL come in 32GB and 128GB storage configurations. 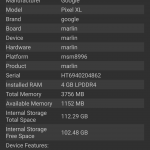 The Nexus 6P had a 64GB storage model, but in a move reminiscent of Apple with the iPhone 7 and iPhone 7 Plus, Google decided to ditch the 64GB model and go with these two storage options (yet another iPhone imitation move). In a time when Samsung offers the Galaxy S7 and S7 edge in 32GB and 64GB options around the world, Google limits storage options so as to encourage users to spend more money on the higher storage model. I’ve used a number of 32GB storage phones that didn’t have enough storage for me and, since I don’t care for microSD card slots, buying 128GB of storage out of the box has been ideal for me. I’ve been able to download movies onto my device from Google Play Movies without being concerned about storage. As for storage, keep in mind that the operating system, Android 7.0 Nougat, as well as other files on the device, will consume 9GB of storage right away – leaving only 119GB of storage available. 119GB is more than enough storage for the majority of consumers, so 9GB of lost storage is not relevant enough to warrant complaint. Maybe at 16GB or 32GB even, but not 128GB. When it comes to cameras, some phone reviewers rate cameras based on whether or not the images taken appeal to them, but this shows a competition of a highly subjective nature. When rating smartphone camera performance or camera performance in general, it pays to see how well the image and colors match what you see in real time. 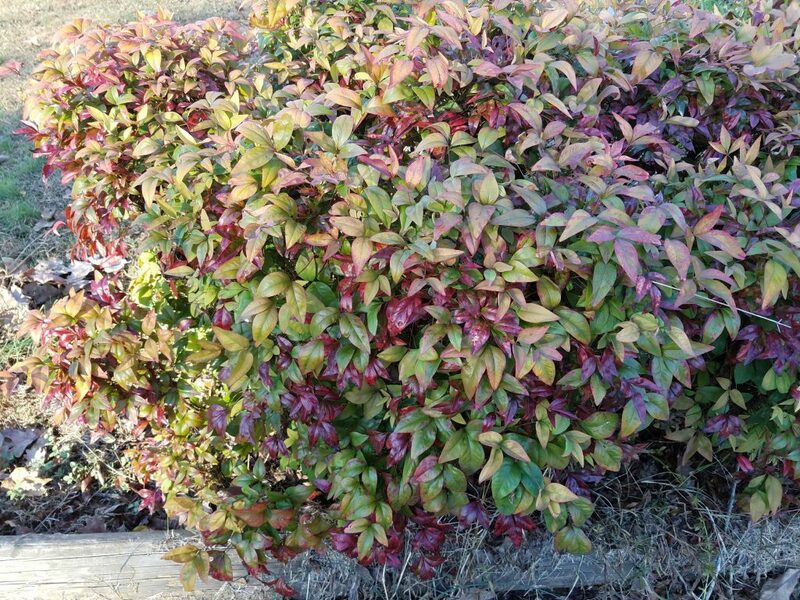 If an object is red but comes out pink on the photo, then the image isn’t accurate – even if you prefer the color output. With that said, this camera shootout between the Pixel XL and the gold standard smartphone of 2016, the Galaxy S7 edge, will test color accuracy over color preference. 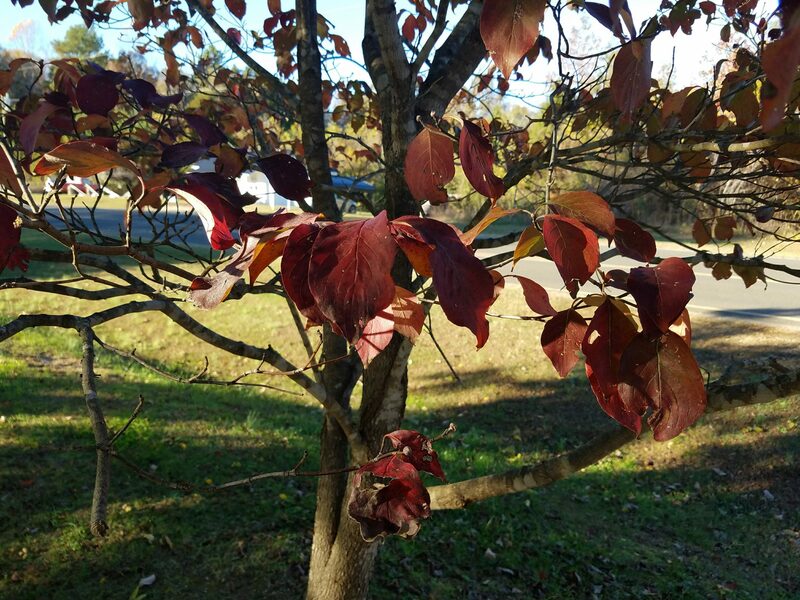 Yes, at the end of the day, some may view their physical sight as subjective, but most humans can agree on the color red or a shade of red as opposed to another color, for example. So, images will be rated on their color accuracy when compared with the object in real time, not how nice they look or how “edited” or “photoshopped” they may be. Additionally, this shootout will take a look at both indoor and outdoor objects, objects in room lighting and objects with natural lighting so as to not create bias for either smartphone. The phone that performs well and wins the most rounds in the camera shootout will be declared the winner. By pitting the S7 edge against the Google Pixel series, we can see which smartphone is the best overall smartphone for 2016. Now that we have these rules out of the way, let’s get to the camera showdown. In testing these devices, the general rule about their performance is that the Pixel XL tends to provide warmer tones when in direct sunlight than those of the S7 edge. 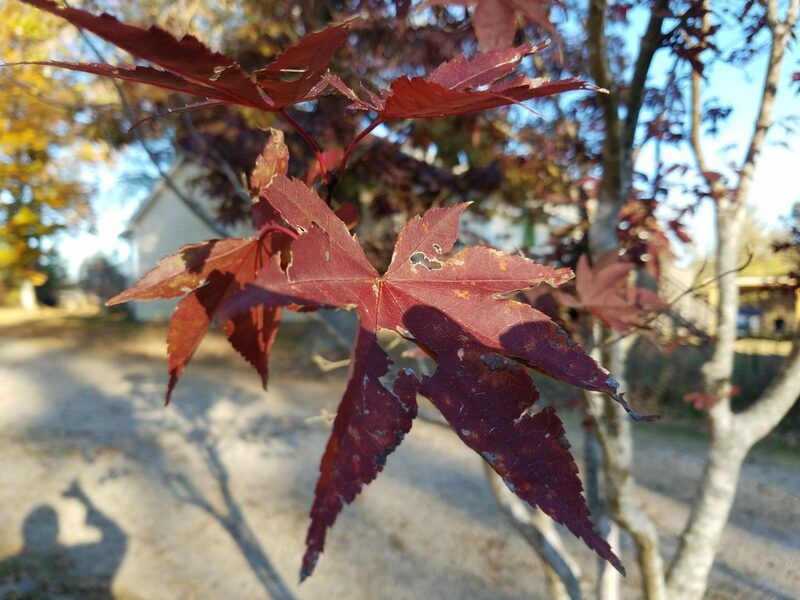 In other words, when taking photos in daylight, the Pixel phones shoot colors that are too vivid at times and seem to spread the sun all over the photo (light gray dirt paths turn to “rather warm browns,” in the case of one maple leaf photo). Reds and pinks are often misrepresented with the Pixel phones, and yellows turn to “golden” yellow when in sunlight. Again, sunlight or the presence of it tends to bake colors beyond what they are in person. Don’t get me wrong: the colors are beautiful and look photoshopped without actually doing the edit work with a photography app of any kind – but the colors are not always accurate. And then, when the Pixels aren’t baking colors and saturating them, they’re producing cold images that look lifeless. In contrast, the Galaxy S7 edge tends to provide colors “as is,” thanks to Samsung’s Dual Pixel phase detection autofocus (PDAF) that processes images in the same way that human eyes do, according to the company. Colors come out far more accurate in some tiebreaker photos with the S7 edge rather than the Pixels. I’ll say more later on, but let’s review camera shootout photos between the Google Pixel XL and the Galaxy S7 edge first. 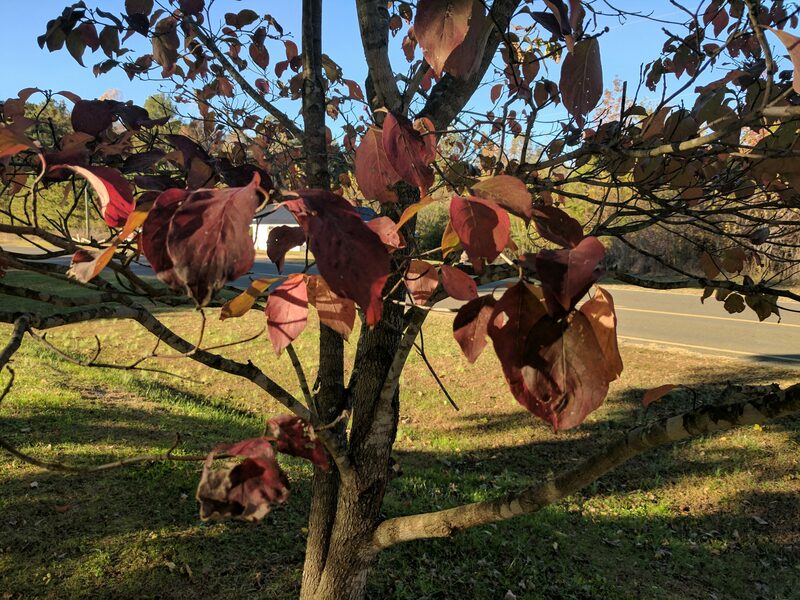 In the first photo scene, a leaf bush has red and pink spots on it, but the Pixel XL renders the leaves mostly pink and abandons the detail regarding red and pink spots on them. The Pixel XL is aiming to “smooth out” the color rendering, giving it more of a “photoshop” effect. The pinks are too warm in the Pixel XL scene. 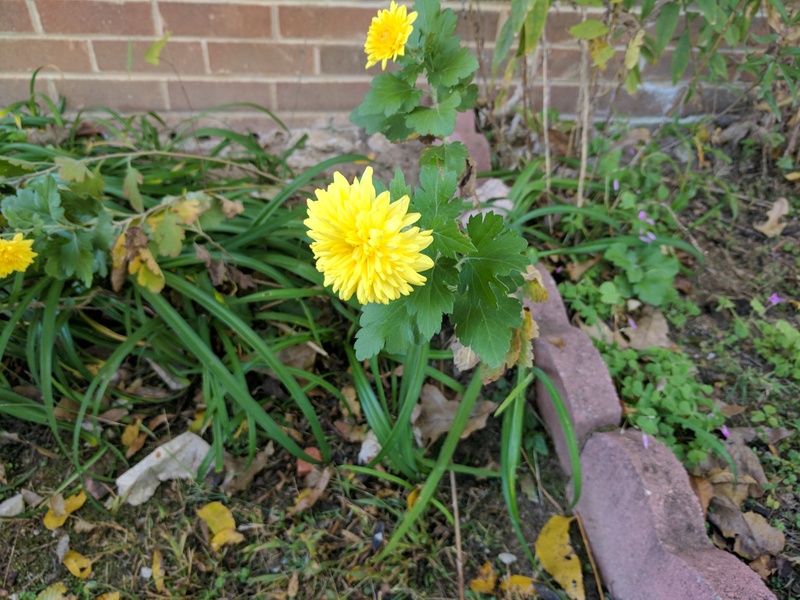 The next scene shows the Pixel’s strength, with the Pixel XL capturing the yellow flower as it really is while the Galaxy S7 edge struggled with autofocus and, as such, didn’t take a clearer photo. The result of the slow autofocus here is that the image comes out blurry and melts away the detail rather than emphasize it. You can notice, too, that the leaves and grass take on a different shade of green: the Pixel XL paints the green as darker than that of the S7 edge photo, though both are slightly off in terms of color accuracy. The real green is more of an olive green, and here, the S7 edge seems to be more in the right direction. A lot of photos in this camera shootout will show the S7 edge and Pixel XL splitting the win in scenes (this is what you’d expect from the two best smartphone cameras on the market). 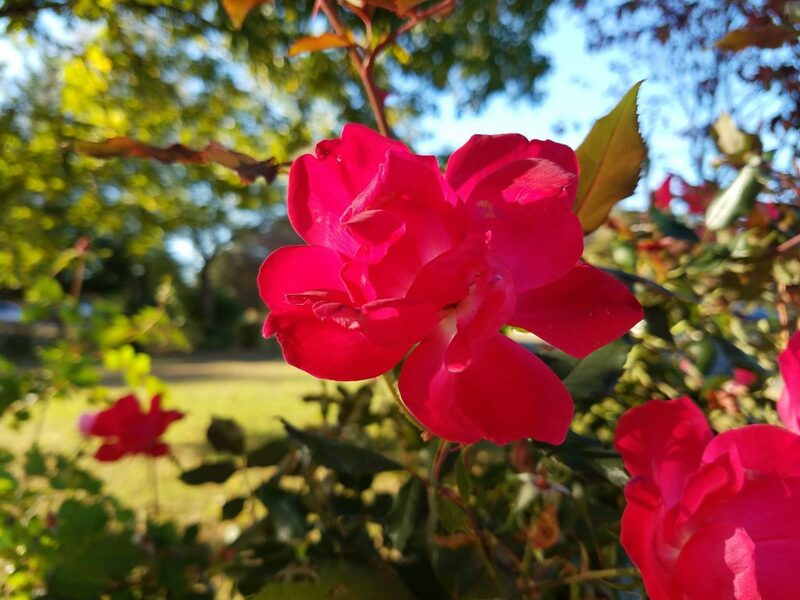 In scenes with a pink rose bush, the Galaxy S7 edge captures more realistic content on the rose itself, and with a more saturated color than the Pixel XL. Though the roses from the Pixel XL are good, notice that the sunlight tends to “lighten up” the color of the roses themselves so that hot pink becomes light pink. The S7 edge gets the color accuracy right here, but the Pixel XL provides more detail of the roses themselves as well as the surrounding stems. Again, the Pixel XL may have more detail, but its colors aren’t accurate. Color accuracy (the pink color contrasts in the S7 edge photo) are an important detail for any photo that shouldn’t be overlooked. 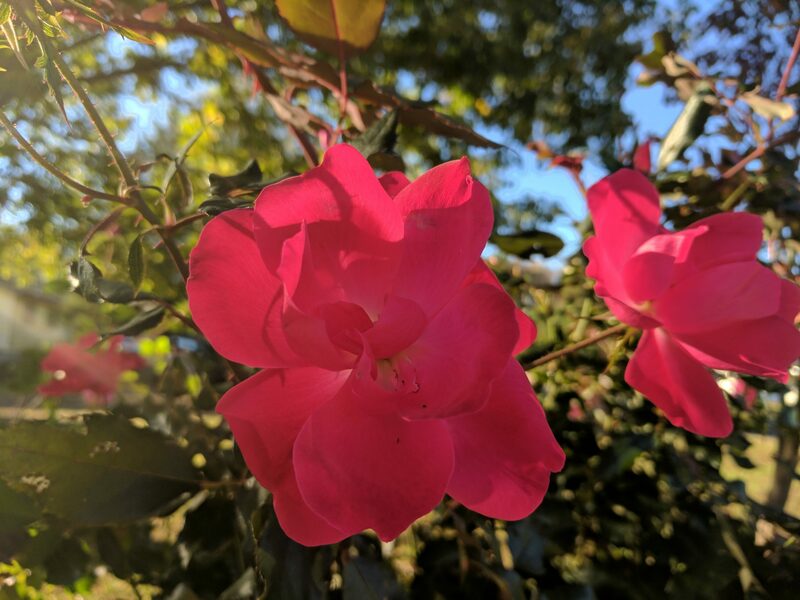 One thing to notice as well about the pink rose photos is that there is a streak across the Pixel XL pink rose photo (second one in the above pair). 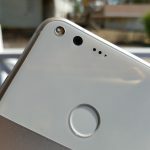 A number of streaks appear in photos I’ve shot with the device, and Google itself has acknowledged the problem and promised an upcoming bug fix. 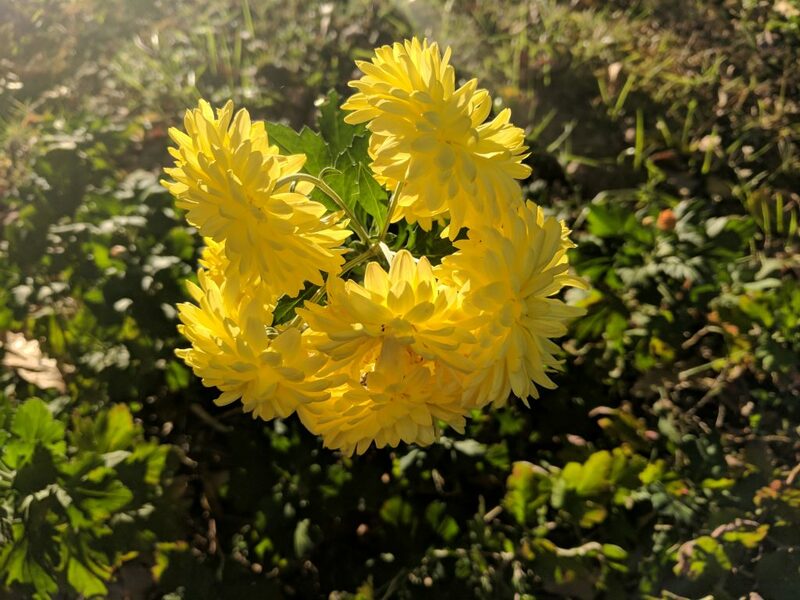 The photo of a yellow flower or rose in the sunlight shows that the Pixel XL struggles to keep sunlight in check. The Galaxy S7 edge, however, provides enough sunlight to cherish the moment without making you cover your eyes when you view the photo on your couch instead of outdoors in direct sunlight. 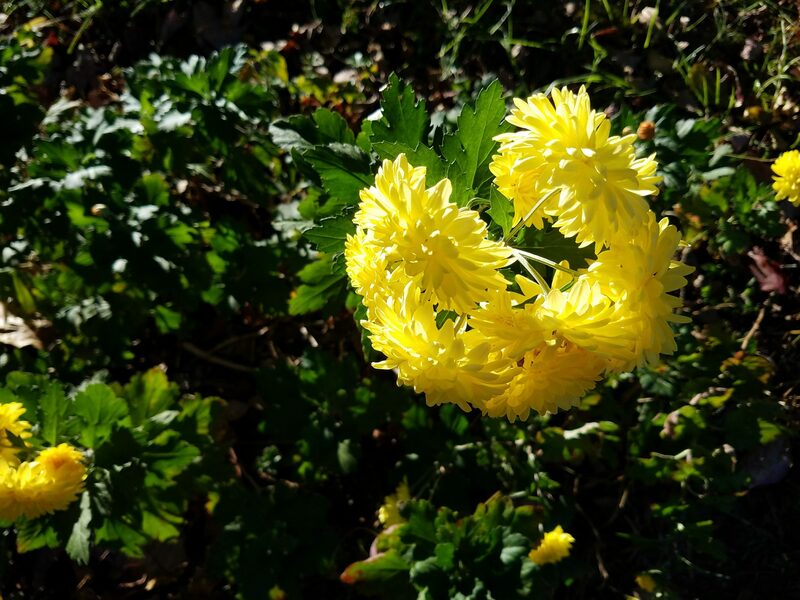 The Pixel looks as lively as it gets, though the sunlight provides a “golden yellow” tint to the flower – whereas the Galaxy S7 edge preserves the yellow color of it to perfection. Again, I’m not basing these evaluations on whether or not the Pixel XL provides “loveable” photos, but whether or not the photos from either phone are accurate. Notice the lens glare or haziness at the top of the Pixel XL photo: it’s a sign that the same streaking shown earlier is going on here, too. Every photo in sunlight with the Pixel XL has a tendency to do this. And if you purchase this phone right now without waiting to hear that the update has landed, you’ll have the dishonor of seeing this in every photo taken in direct sunlight. 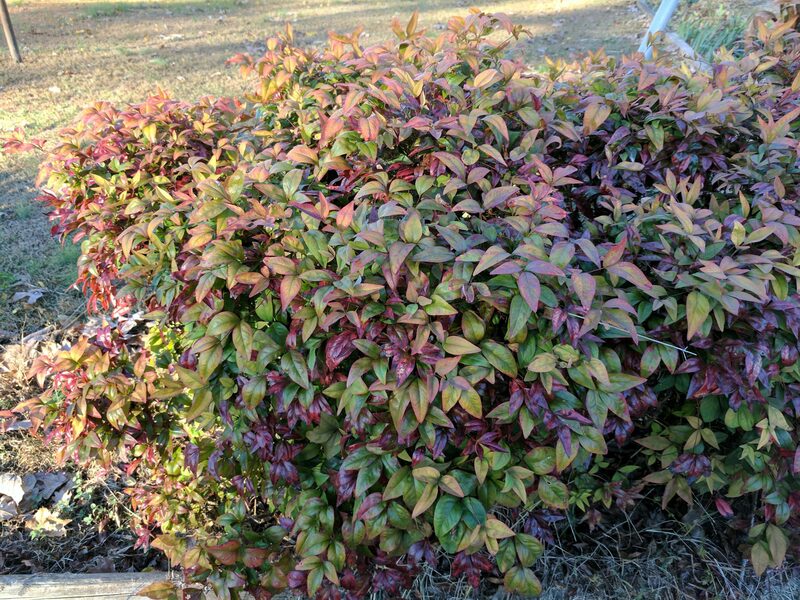 The next photo scene with a large bush with red leaves shows some of the problems with the Pixel XL: it tends to have so much post-image processing that it smooths out the realism of the photo moment in any scene. 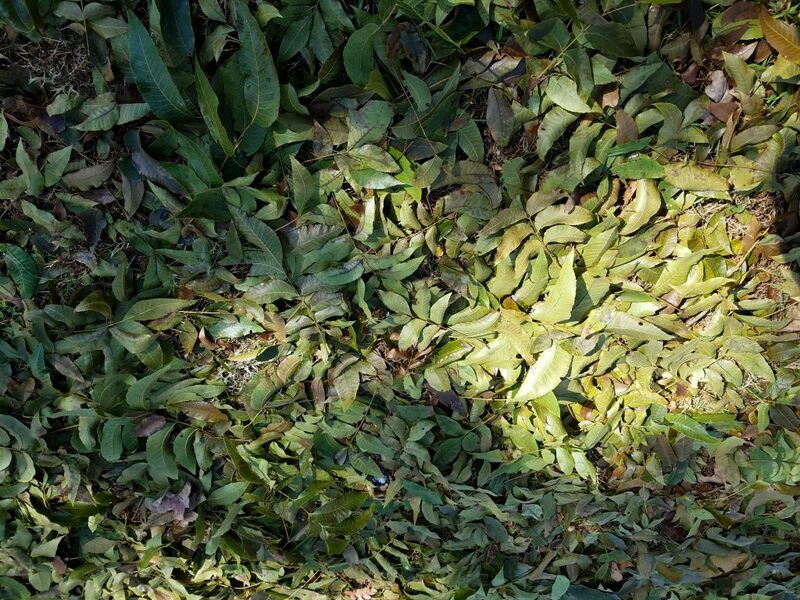 Whereas the Galaxy S7 edge shows you the leaf bush with a mixture of blue and white colors in the sky, no touchup done, the Pixel XL touches up and smooths out the scene. The grass is greener in the Pixel scene but it isn’t realistic, and the road looks as if it’s been “baked” by the sun with a brownish hue that doesn’t exist in the S7 edge photo where it looks as if the sun is on top of the road (not inside the road). 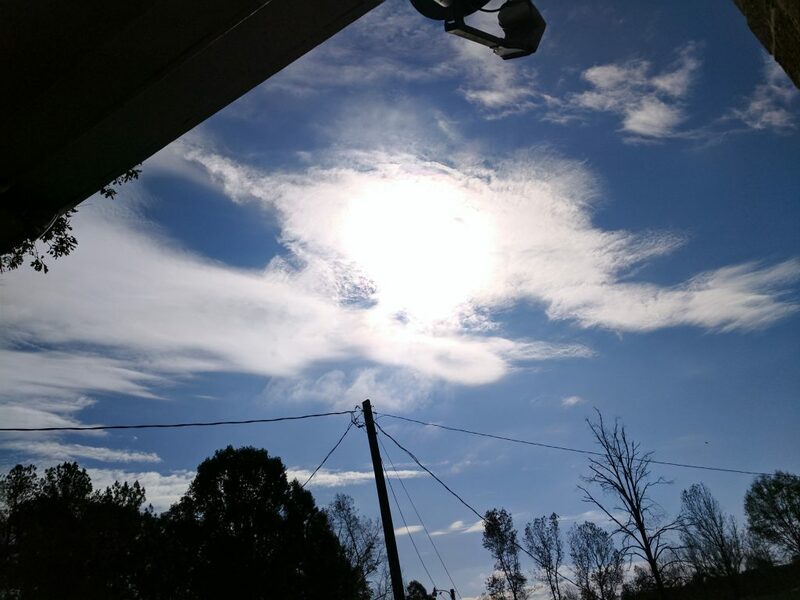 The white clouds in the sky are completely eliminated, and the blue is bluer than the sky was in the moment. Some think this is great photography, but this is what I call “photoshop photography.” Photoshop photography is great for those who want to have nice photos without editing them at all, but the scene for the Pixel XL doesn’t match what I saw in real time. In other words, despite my preference for the smooth scene taken on the Pixel XL, I must give the win to the Galaxy S7 edge because its Dual Pixel phase detection autofocus brings the realism to life. 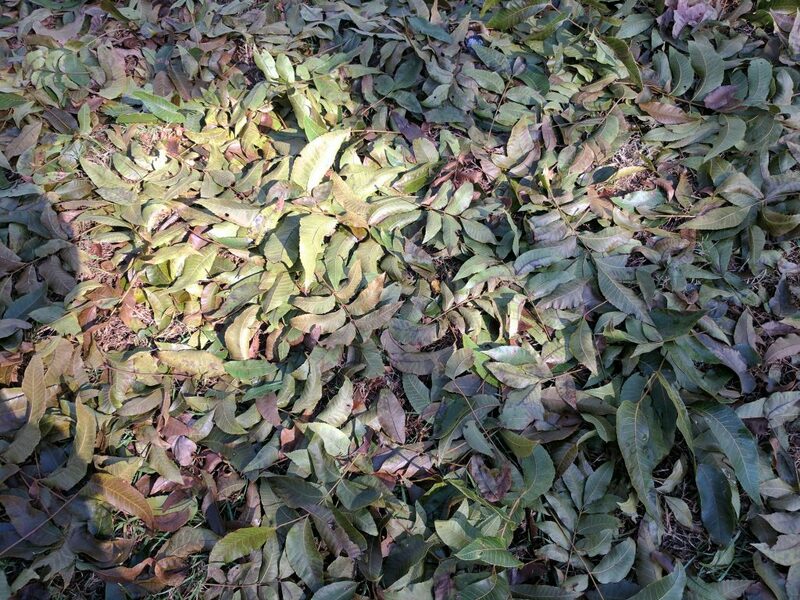 The same issues occur in the photo with the maple leaf and maple tree. While the S7 edge paints the sky as a mixture of blue and white (though the top right overexposure of white and blue doesn’t make for the best photo in the world), the Pixel XL kills any trace of clouds and smears a blue across the sky that just doesn’t look realistic at all. 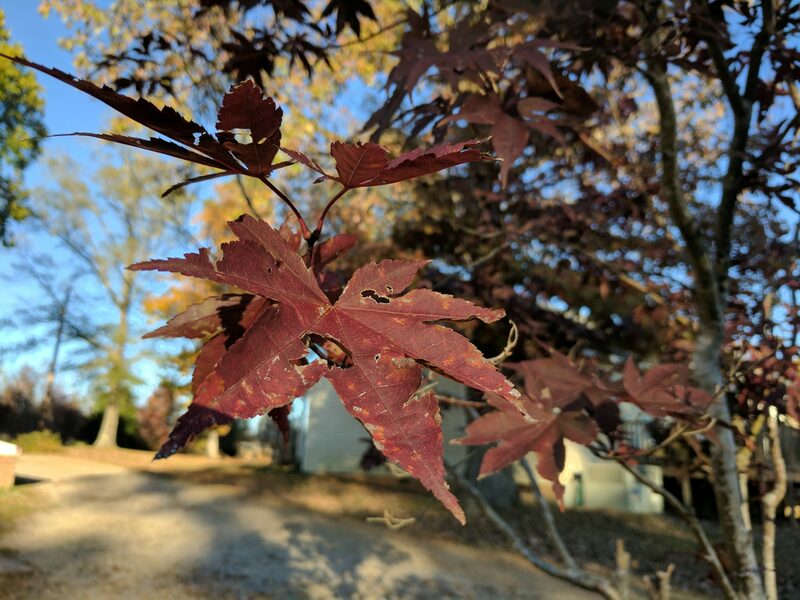 The maple leaf in the photo, the star of the scene, looks “sunbaked” in the Pixel XL, but again, this photoshop photography is unrealistic and doesn’t match the scene in real time. 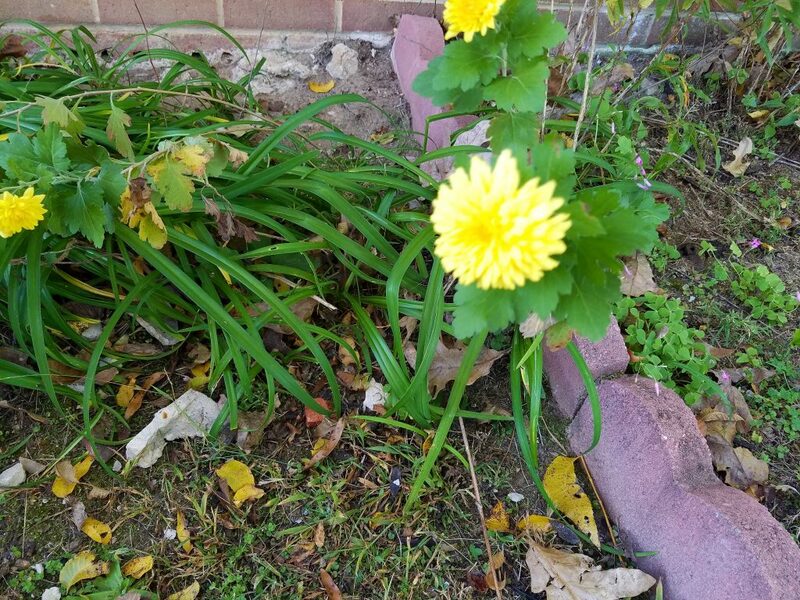 The S7 edge photo shows the sunlight and its impact on the maple leaf, but the Pixel XL scene appears as though the sun is “hidden” with minimal sunlight at all — even though these photos were taken seconds apart. 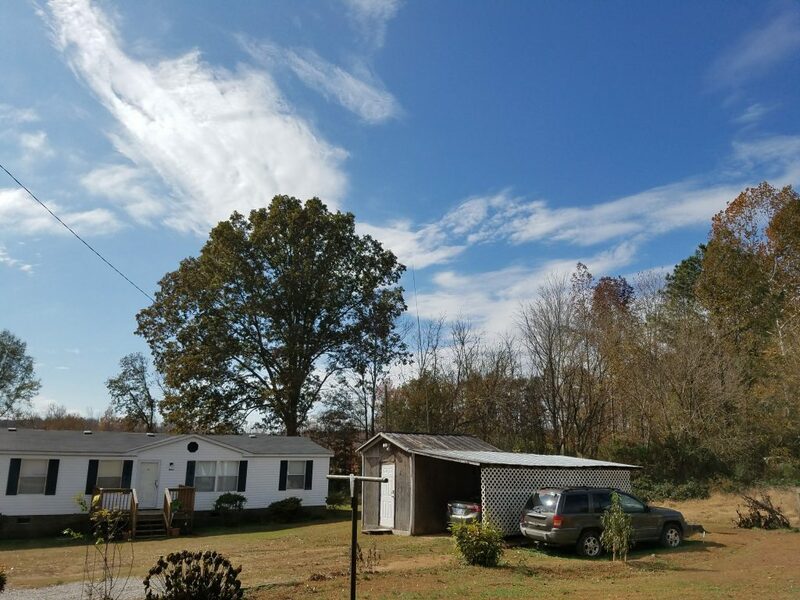 The scene of the storage house shows the problems with the Pixel: the XL continues to bring too much sunlight into the scene, providing a haze at the far right of its photo while the S7 edge shows the sun but doesn’t “smear” it across any portion of the scene at all. The sky in the Pixel XL, once again, is a vibrant “blue” that doesn’t match the scene (again, photoshop photography at work). 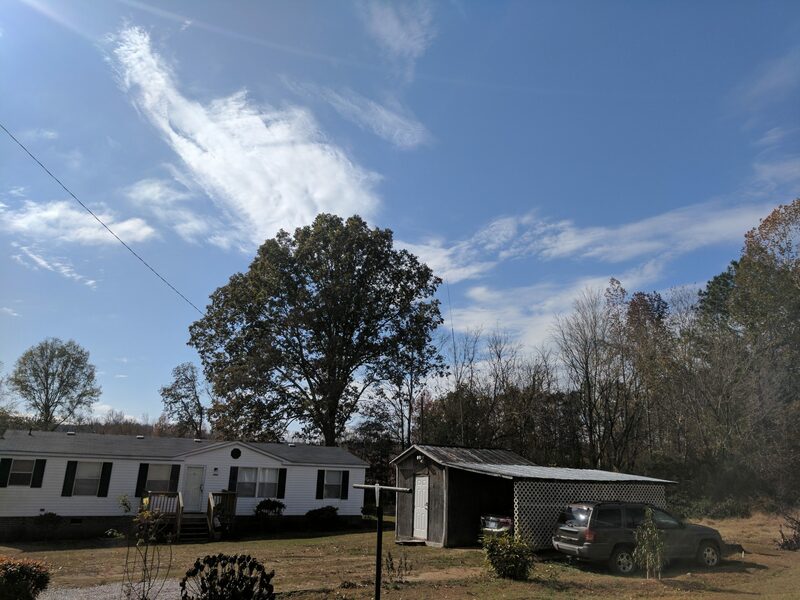 Once again, the sun paints a sun streak across the Pixel XL storage house scene at the top right corner. 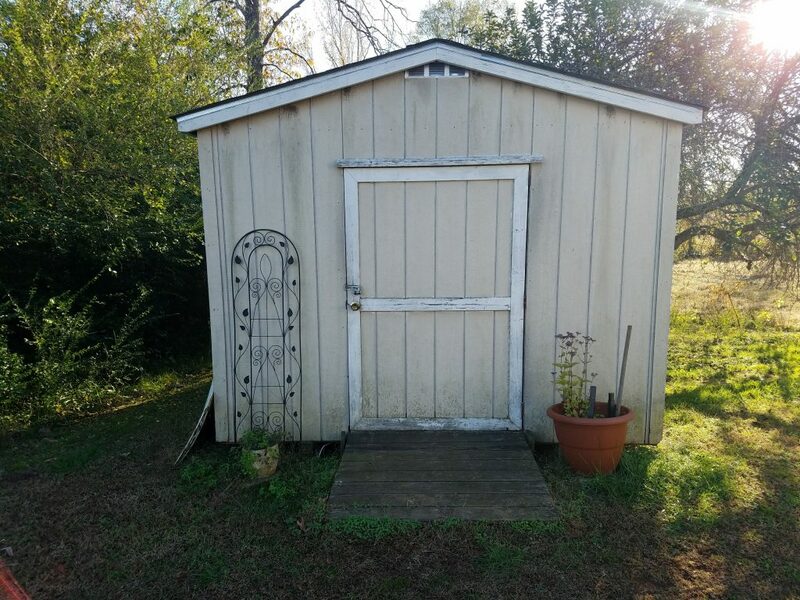 And it is in the shade that we see the Pixel XL, the so-called “champion of saturation” in the last few photos, take a nosedive in warm tones: the orange flower pot to the right of the storage house door is a more washed-out orange than what you see from the S7 edge photo. In other words, the Pixel XL has washed out the scene and sun-hazed it to the point where this photo shows its color vibrancy starting to drop. 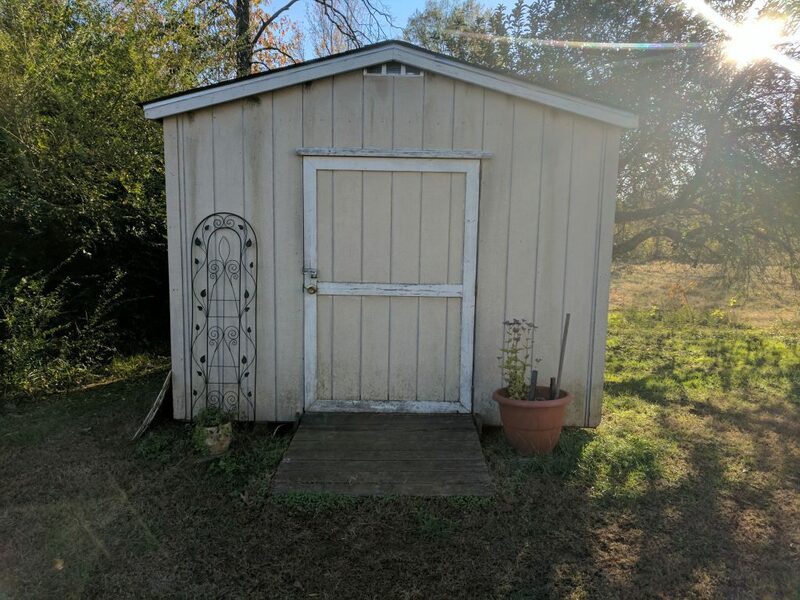 This is not the only photo, though. 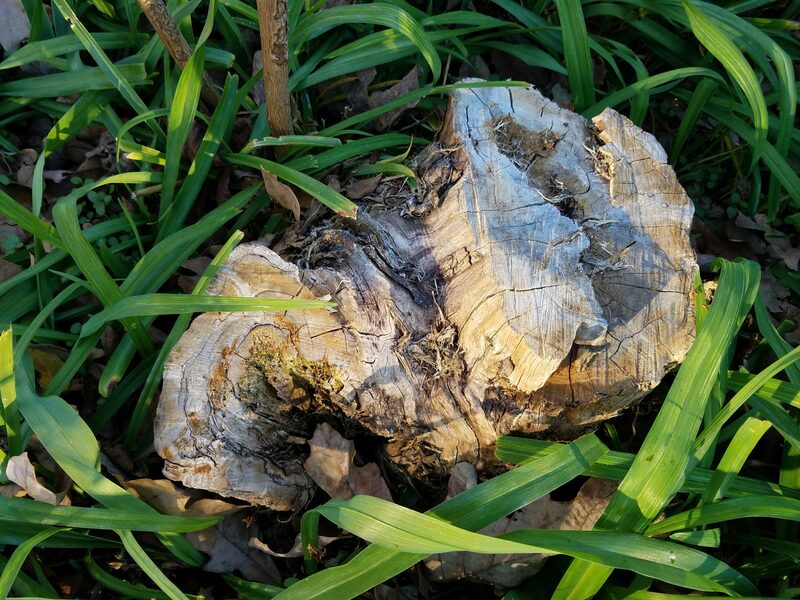 The Pixel XL fumbles again in the scene above with the tree stump. 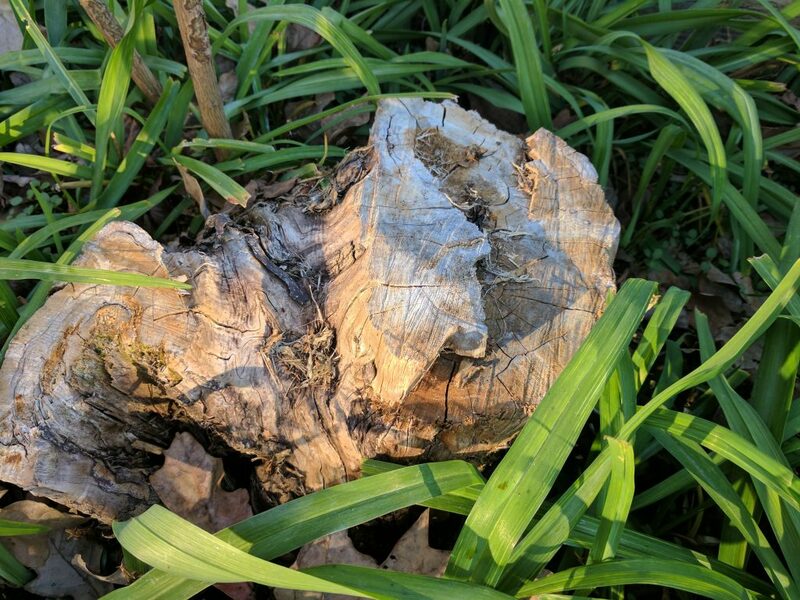 Both reflect the sunlight in their photos, but the Pixel XL gives the tree stump something of an orange-pinkish hue while the S7 edge maintains the proper balance of sunlight and color. Both perform very well when it comes to the overall scene, but the sun-baking is the problem for the Pixel XL that just won’t go away. A second day of photo shoots outdoors highlighted the Pixel XL shortcomings and added to them. First, a photo of leaves that had fallen in the yard saw the Pixel XL’s color accuracy take a ride on the “cold” side: vibrant green leaves, as seen on the S7 edge, led to the cold green photo taken on the Pixel XL. How does the Pixel XL fare when taking a photo of the sun? 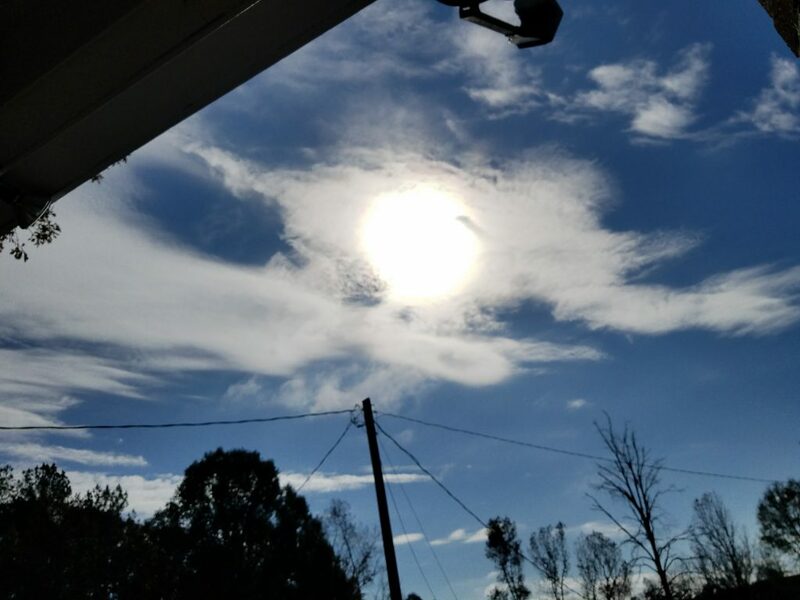 It tends to blend into the clouds (such that you can barely see it), as opposed to the Galaxy S7 edge photo where the clouds and sun both maintain their proper places in the photo without such overlapping. This may not be entirely visible from the photo, but it is up-close. The Pixel XL has the tendency to provide tones that are too warm, but this next scene shows the S7 edge’s ability to capture the scene “as is” with its cloud cover and sky layout, as well as its vibrant colors with the grass and trees. The Pixel XL photo, in contrast, looks to be too cold and washed out, with the grass looking far more stale than green and the trees on the far right appearing bland and with a white haze (remember the streaking from earlier?). What this shows is that the Pixel XL is too oversaturated when it doesn’t need to be and undersaturated when it needs to be saturated. In other words, the Pixel XL is simply “taking guesses” at the scene, hoping it gets the color scheme correct, while the S7 edge’s Dual Pixel PDAF is processing its color schemes in a methodical manner – and getting them right 95% of the time. The color accuracy of Samsung’s Galaxy S7 edge shouldn’t be understated: Samsung’s devices are better at color accuracy and production than the Pixel XL (and, of course, Pixel). 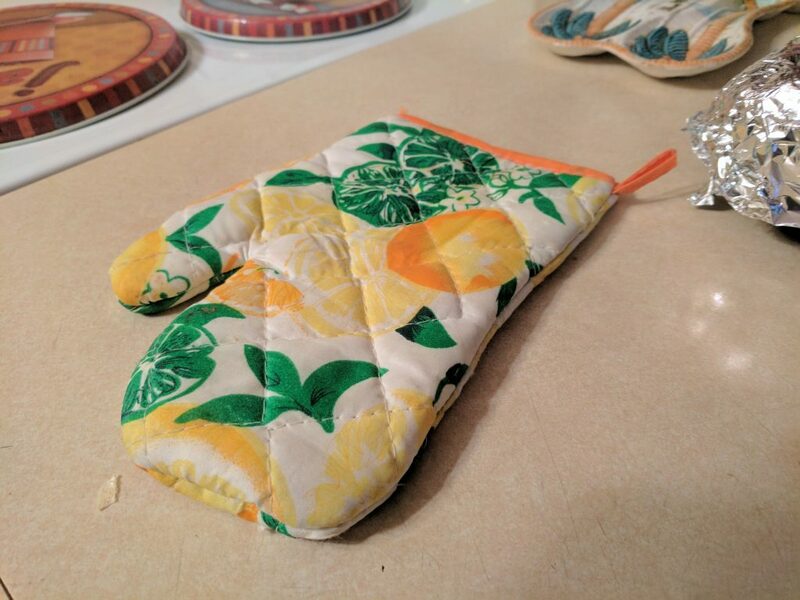 In another photo with an oven mitt consisting of yellow, orange, green, and white colors, the S7 edge emerges triumphant again with its accurate color production of greens – while the Pixel XL changes the green to more of a washed out green instead of the vibrant green of the S7 edge scene. 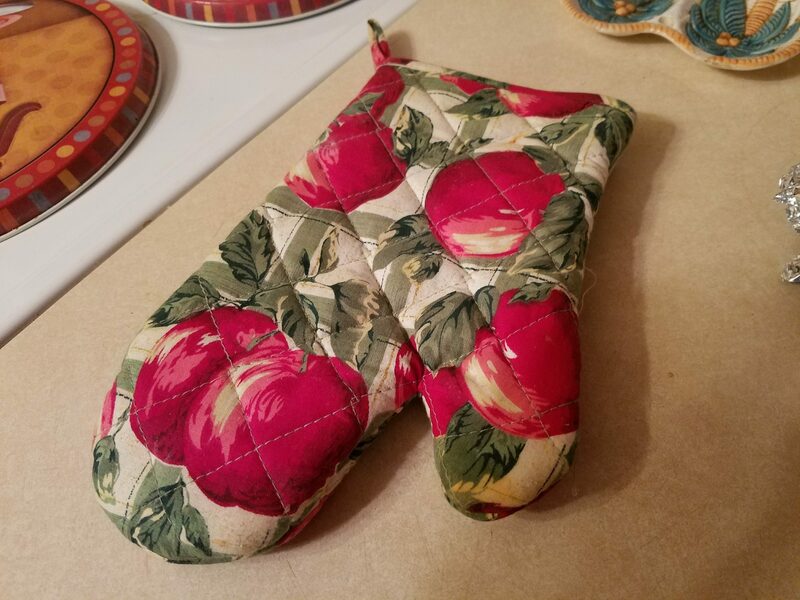 If you want to see more of the Pixel’s color reproduction inaccuracies, take a look at the photo above of the oven mitt pattern regarding fruit (that could be apples). 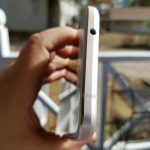 The Galaxy S7 edge nails the fruit in a way the Pixel XL does not: it provides light and dark color contrasts where necessary with the fruit and its accentuated shadows, while the Pixel XL paints the fruit as more of a “bright pink” with washed out leaves. 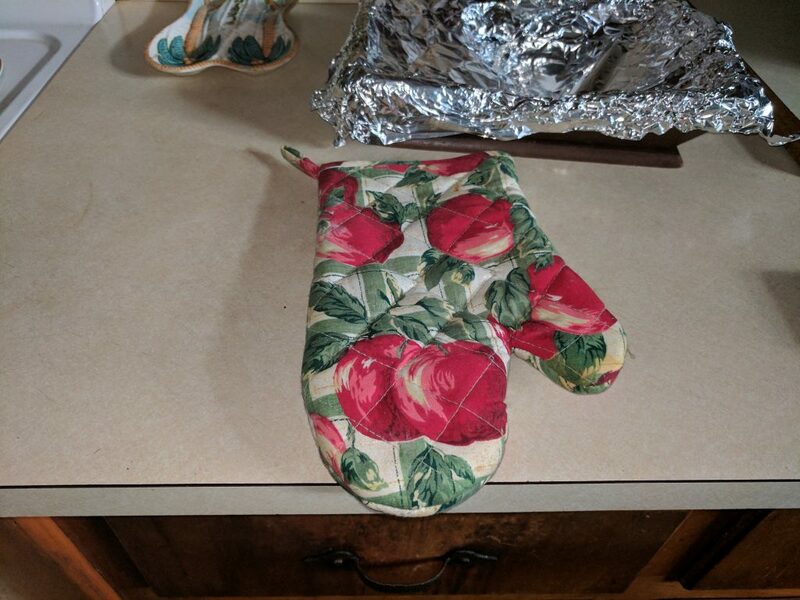 The green leaves on the oven mitt in the Pixel photo are lighter than the leaves of the S7 edge photo, another sign that the Pixel needs help to improve its color accuracy. 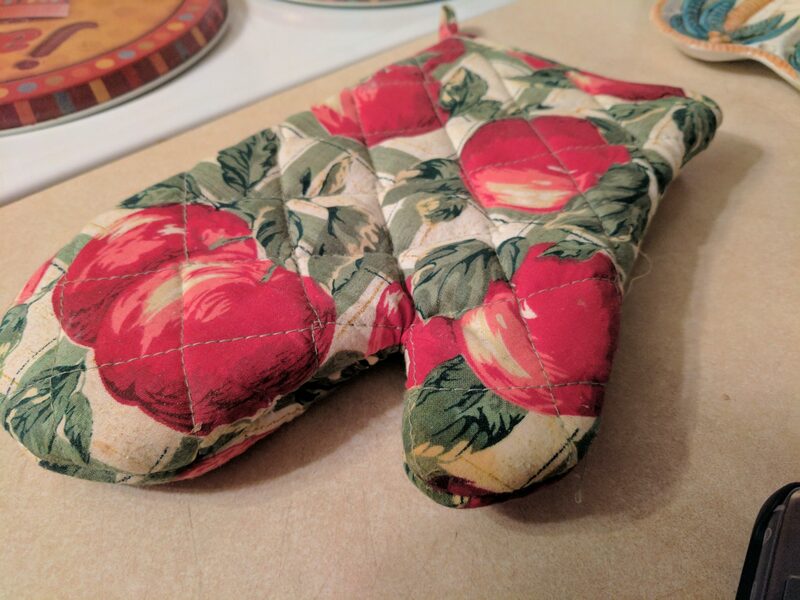 I turned off the lights, then took a picture of the same mitt with the use of flash (which corrected the problem slightly though not completely, as you can see above), but the Pixel will mandate the use of HDR and flash to accomplish what the S7 edge can provide sans camera modifications. 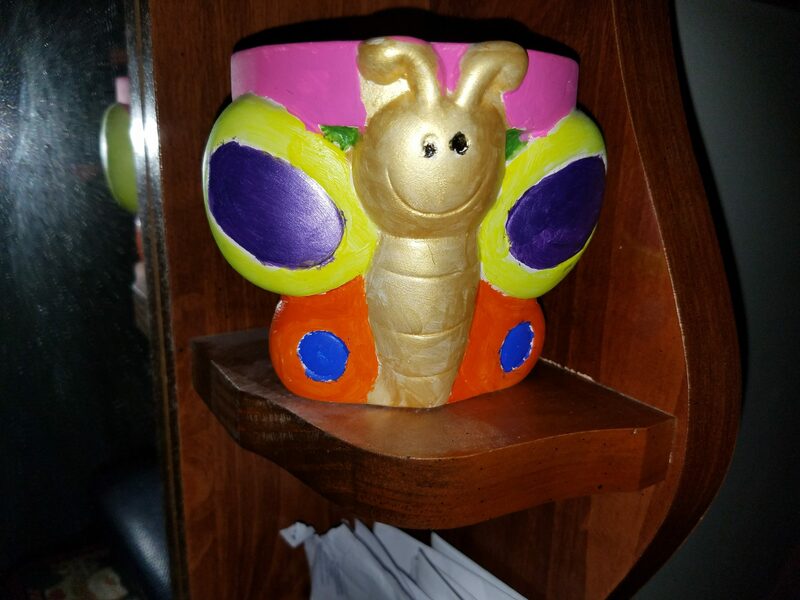 Another lowlight photo with the use of flash shows that the butterfly cupholder (given to my grandparents by children in the community) in the S7 edge photo is, again, far more accurate with its color reproduction than the Pixel XL photo. 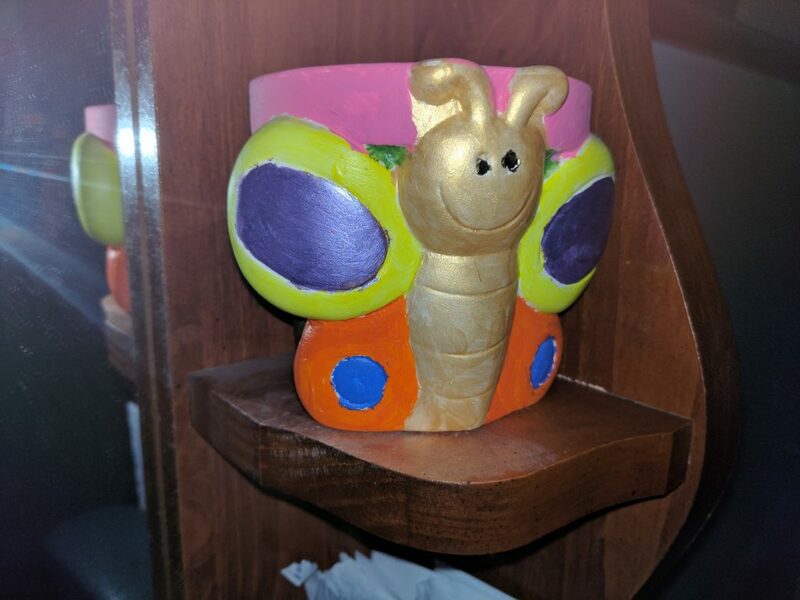 Looking at the object up-close, however, one can see that the neon green of the object in real time for the butterfly’s wings becomes a darker neon green on the Pixel than reality suggests. Additionally, the pink color at the top of the holder, as well as the dresser it’s on, are washed out in the Pixel photo but vibrant in the S7 edge photo. These are but a few of the photos to be seen. There are places where the Pixel XL’s autofocus dominate, but overall color accuracy, from my test, goes to the Galaxy S7 edge. I understand that some will say that DxOMark Mobile’s mobile photography award for the Pixel phones is justified, but in everyday experience, most consumers will find the Galaxy S7 edge to be more accurate. Sure, the Pixel phones may provide better lighting when it comes to indoor photos at times, but I’d rather have color accuracy than better lighting if I have to pick one and abandon the other. Aside from the Pixel phones’ color inaccuracies both outdoors and indoors, the Pixel XL has another camera flaw: the location of its flash. Google decided to place the flash to the left of the camera lens, while Samsung places its flash to the right of the camera lens. The result is that the S7 edge doesn’t allow you to confuse the color scheme of the scene, while the Pixel XL allows your finger to mess up the color scheme. You can see the flash locations on both phones with the photos above. I experienced this while shooting indoor photos recently. I took a photo of my grandmother’s “Bath” clock and, though the colors seem accurate, there was a haze and mist in the photo itself that I discovered was caused by resting my finger at the top of the phone – while covering the flash. Upon removing my finger and taking the photo, the image came out pleasant. Again, the flash needs to be placed to the right instead of the left because many photographers and users will use the very top of the phone in landscape mode to rest their fingers. Additionally, securing the camera at a place that will be away from user fingers on the back of the phone would’ve also been a wise choice to maintain photo quality. Placing the flash there instead of the other side shows a lack of foresight and forethought with regard to user experience. You can’t make design decisions like this as well as the mixed glass and metal design on the back cover and assume that users will love the experience. The camera shootout contest hands the win to the Galaxy S7 edge, and, while the Pixels provide smoother images, they fail to reflect the real moment in which I stood. Perhaps photoshop photography is in for some, but most professional photographers don’t take photoshopping (or smartphone cameras that do it) seriously. How DxOMark Mobile gave the Pixels 1 point higher than the S7 and S7 edge is a mystery. The Google Pixel features a 2,770mAh battery and the Pixel XL features a 3,450mAh battery. The Pixel has a Full HD display, though, but 720p (HD) displays are better on smaller batteries than 1080p displays. With the Pixel XL I’ve been using for the last 3 weeks, the 3,450mAh battery is presumed to last long, but it doesn’t. The battery life is sufficient, but it wil barely get you through a day if you’re a moderate phone user. In my battery tests, I’ve seen battery performance of 19-20 hours battery life and 6-7 hours SOT. Keep in mind that I’ve had some stats that surpass these averages, and using airplane mode has gotten me as much as 26 hours on a single charge. If one keeps WiFi and cellular data enabled, only 20 hours max is consistently possible. I encourage Verizon Pixel and Pixel XL owners to take advantage of WiFi Calling because WiFi conserves battery better and helps your device last longer. I’ve experienced erratic battery life with the Pixel XL, with 12 hours of battery life at first, which then gave way to 16 hours, which has now become 19-20 hours consistently as of late. I’ve only had the Pixel XL for the last two and a half weeks, though, so another 3 weeks should give a better perspective. As far as charging goes, there’s no wireless charging here – so prepare to use the USB-C charging cable for every single charge. In my charging times with the Pixel XL, the device charges from 0 to 100% in 2 hours and 4 minutes. Just today, it took the longest time to see the device charging the last 10% of the battery. You can get 50% charging in 40 minutes and 70% charging after sixty minutes, so you won’t be without battery on the Pixels for long. The 5-inch Pixel should charge up even faster due to its smaller battery capacity. In general though, the Pixel XL’s battery should last longer but it doesn’t. I’d recently used the Samsung Galaxy Note 7 with its 3,500mAh battery and discovered that it could put up the same battery life with 8-10 hours of screen-on time (SOT). 6-7 hours SOT for the Pixel XL is below average for me, considering that I’ve been able to get as much as 7-8 hours average SOT out of the Galaxy Note 5 with its 3,000mAh battery. Now some individuals focus on battery life instead of SOT, but both are important. Having great battery life when your device is idle means very little if, when you pick up the Pixel or Pixel XL, you get little time to use the device before it dies and the screen goes dark. SOT shows the stamina of a device and also indicates just how healthy or unhealthy battery drain is on a device when it’s idle. I once fell asleep with 33% battery remaining and woke up 7 hours later to find that the battery was dead and needed recharging. Even with Data Saver enabled, cellular data drain depleted the Pixel XL battery even with the screen off. 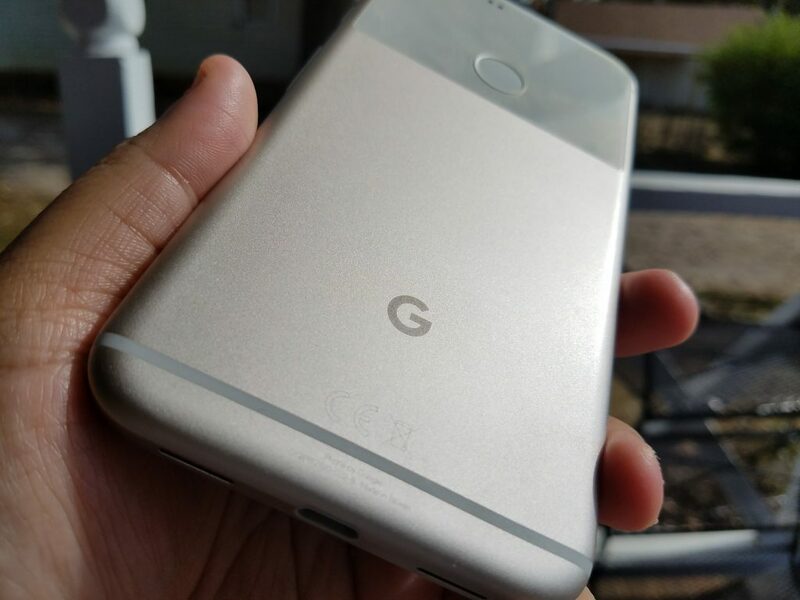 The Google Pixel and Pixel XL both come with USB Type-C charging, which means that charging should be faster than micro-USB charging devices and methods. 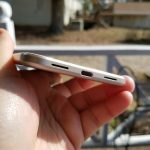 The Pixel XL takes about 2 hours to charge via USB, which is 20 minutes longer than it takes the Galaxy S7 Active with its 4,000mAh battery to charge via USB (100 minutes, or 1 hours, 40 minutes). The Galaxy S7 edge has 150mAh more battery than the Pixel XL (3,600mAh as opposed to the Pixel XL’s 3,450mAh) but charges up in about 100 minutes via USB. The Pixel XL takes at least 20 more minutes to charge than the Pixel XL does – which doesn’t make sense considering its smaller battery capacity. Take a look at these Pixel XL battery stats and draw your own conclusion. The Pixel and Pixel XL run Android Nougat (7.0) out of the box, being matched only by the LG V20 in its pre-installed Android update. 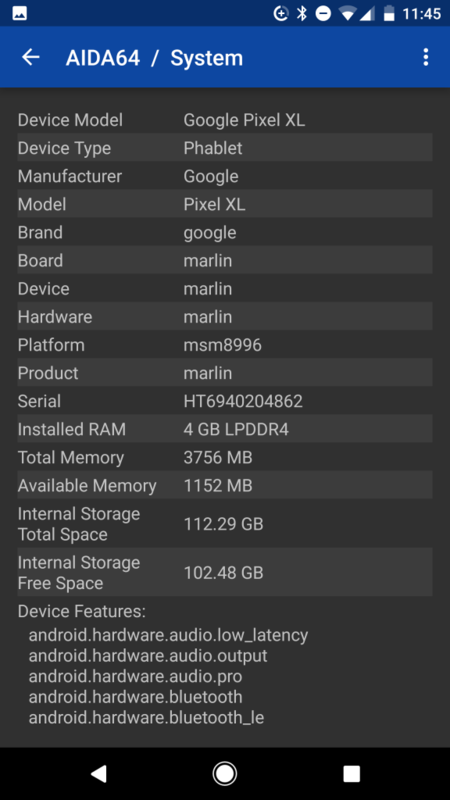 Android 7.0 Nougat was officially announced, but, to my surprise, I found Android 7.1 Nougat available on my 128GB Very Silver Google Pixel XL within the first few days of using the device. 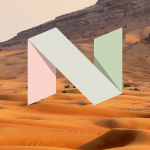 Android Nougat brings a few new additional features to Google’s operating system. One in particular is Bundled Notifications, a feature that brings you multiple notifications for the same app together instead of separating them all over the notification list so that you have to look at the top of the shade to find one Google+ notification and at the bottom of the shade to find the other. Now, thanks to Google, you can now find all your Google+ or Gmail notifications (or those from any other app) in the same place within the notification shade. 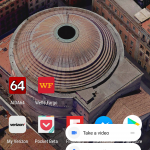 Alongside of bundled notifications, Google has provided real times for notification so that you know when a notification was sent to you (whether 10 minutes ago or 2 hours ago). Another feature, Notification Direct Reply, lets you respond to texts within the notification shade without opening the app (though you can still go to the app if you’d like). MultiWindow Mode has finally made an appearance in Android with Nougat, allowing you to use multiple windows alongside of each other (sort’ve creating a universal Android split-screen mode). Samsung popularized MultiWindow Mode on earlier Galaxy S and Galaxy Note models, and Google said at I/O 2016 that it added the feature “due to strong customer request.” In other words, MultiWindow has been added to Nougat thanks to Android user demand rather than Google’s internal decision. The “deeper Doze Mode” Android users were told isn’t called “Deeper Doze” but instead “Doze on the Go.” It’s a feature that brings battery-saving power to your Pixel or Pixel XL even when it’s in your pocket, purse, or backpack and you’re going to lunch, the park, or a drive for the sake of relaxation. 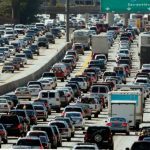 Of the new features that will prove most relevant to Android users with Nougat, there’s Seamless Updates, a feature that will let you continue on your way as “software updates download in the background,” Google says, meaning that you need not shut down the device and abandon whatever you’re doing to download the latest Android OS install. 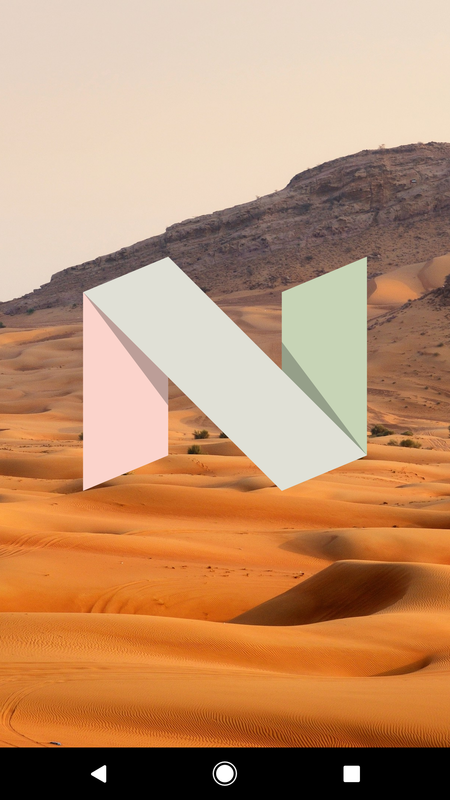 There are other Nougat features such as Direct Boot, File-based Encryption, Custom Quick Settings, and even Multi Locale language settings and over 72 new keyboard emoji, so there’s plenty to love about Android Nougat. 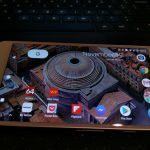 Google has always had a launcher for its devices that brings more functionality than just the new Android OS update, but prior to now Google called it “Nexus” Launcher. Now, with the arrival of the new “Pixel” branding, Google has changed its name to “Pixel Launcher,” and has brought some additional features to its Pixel and Pixel XL that you can’t get on other smartphones (though Google intends to bring its Pixel Launcher to other smartphones). 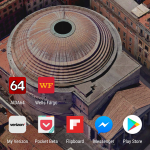 One new feature of the Pixel Launcher is the new rounded icon shapes that one can see with the Gmail, Google Camera, Play Store, Allo, and folders. 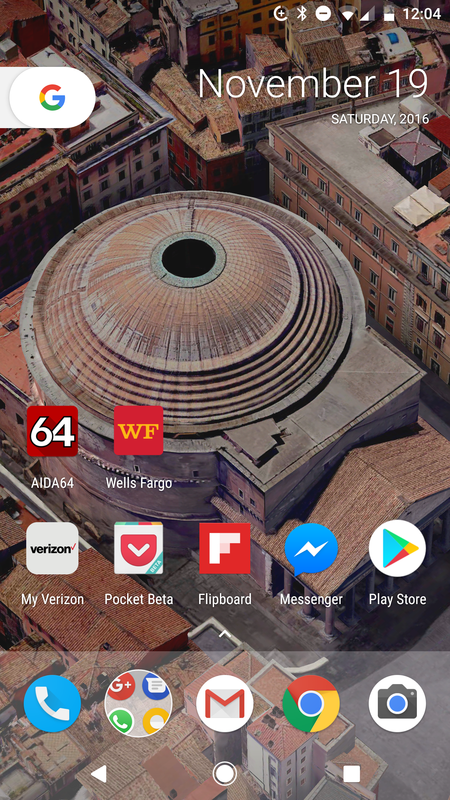 Google Drive, Contacts, Calculator, Calendar, Android Pay, Google Keep, and even Google Maps have circular outline shapes, leading one to presume that rounded shapes are the new look of the Pixel Launcher. Not every app adheres to the new shape, however, with Verizon’s own Message+ app, as well as third-party apps Slack, Skype, Netflix, Verizon’s account app, and even eBay remaining square or having no icon outline shapes. Next for the Pixel Launcher is the “G” internet slider that appears at the top left of the display. The “G” is colorful, reminding you of the Google search app and the search engine icon, but it leads to the internet. Just press and hold the multi-colored “G” while sliding it from left to right, and you should see the Google search bar appear with the blue and red microphone to its right, with the multi-colored word “Google” above it (reminiscent of the search engine). The “G” leads to the internet, and Google’s inclusion of it here is reminiscent of the LG Nexus 5 (2013), and Nexus devices since then. Of course, the quick internet launch feature appeared with the Nexus 6P and Nexus 5X as well as other Nexus devices, but I include it here as a reminder that some things, thankfully, never change. Google has updated the software navigation buttons with the Pixel and Pixel XL, bringing white software nav buttons as opposed to the plain, white outlined software nav shapes on the Nexus 6P from last year. The old app drawer icon that appeared white/light gray with gray dots, has been removed completely: now, you need only bring up the app drawer with a bottom-up swipe at the bottom of the display. The app drawer can now work on any desktop screen but still remains limited to the desktop. The alphabetical app slider remains as it was first integrated within Marshmallow, and it takes Samsung’s similar feature within Good Lock and extends it: instead of letting you keep the 20 most-used apps there, Google lets you keep the entire icon list in the bottom-up swipe app drawer. Google still retains its task manager that exposes the people you’ve called, the videos you’ve watched, etc., but I’d like to see Google implement something like the private task manager in Good Lock that shows the app you’re using – not the exact YouTube video or calling contact, for example. Part of the added functionality to Google’s Pixel Launcher pertains to 3D Touch functionality. It was said that the “HTC Nexus” (now known as the Pixel and Pixel XL) would feature something akin to Apple’s 3D Touch feature, and Google did not disappoint. The feature works the same as it does on the iPhone 6s and iPhone 6s Plus, letting users touch the app icon and see an array of in-app options appear that serve as shortcuts to the tasks you want to have. 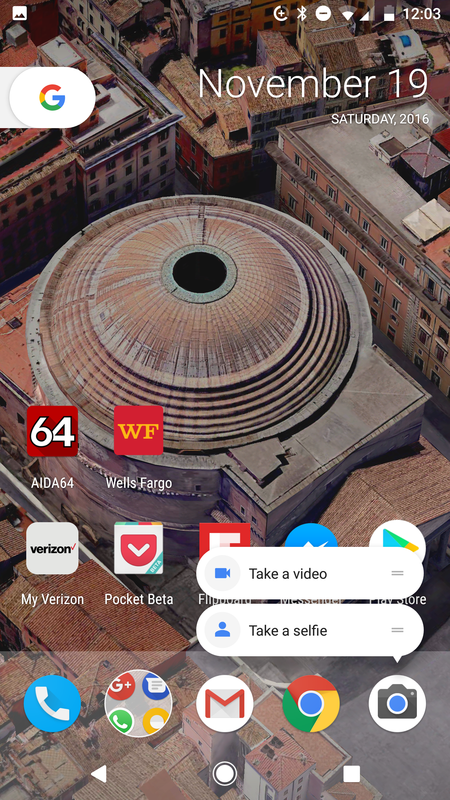 It happens to work the exact same way on the Pixel and Pixel XL: press and hold the Gmail app, and you’ll be greeted with a bubble that says “Compose”; hold and press the dialer icon and you’ll be greeted with frequent contacts or “new contact” bubbles; hold and press the Google Camera app and you’ll see “Take a video” and “Take a selfie” option bubbles appear. The Google Chrome browser icon will let you open a 1) new tab or 2) new incognito tab. 3D Touch works for a number of Google’s apps, including Google Drive, but it doesn’t work for Google’s social network (Google+), surprisingly. And, despite the fact that 3D Touch works on the Pixel and Pixel XL, it appears as though Google, in the steps of Apple, has created another form of software fragmentation. When one looks at 3D Touch on the Pixels, it becomes clear that the new 3D Touch feature hasn’t been implemented into third-party apps within Android such as WhatsApp, eBay, and Slack, for example. 3D Touch can be effective within Android, but Google will need to achieve third-party app support for the feature in order to transform 3D Touch into a relevant feature – not just an experiment it’s hoping will win over some iPhone users. The iPhone 6 Plus was the first iPhone with the ability to rotate its desktop right out of the box, which means that the iPhone 7 and 7 Plus mark the third generation of iPhones having this ability. Google has now taken yet another page out of Apple’s playbook (in addition to 3D Touch) and incorporated desktop rotation into the Pixel and Pixel XL. The result is that you need only enable desktop rotation from your display settings and turn your desktop in landscape mode to watch the desktop change to landscape in the same way that webpages do. 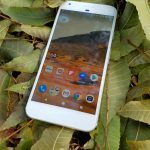 The Google Pixel and Pixel XL also have live support for Pixel and Pixel XL users who need help regarding their phone. 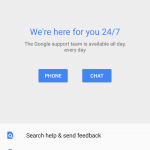 The chat team is available 24/7, Google says, and will chat with you either 1) by phone or 2) online chat. Google Pixel and Pixel XL users can also send feedback to Google about their devices as well, matching what Chromebook users can do on their devices. 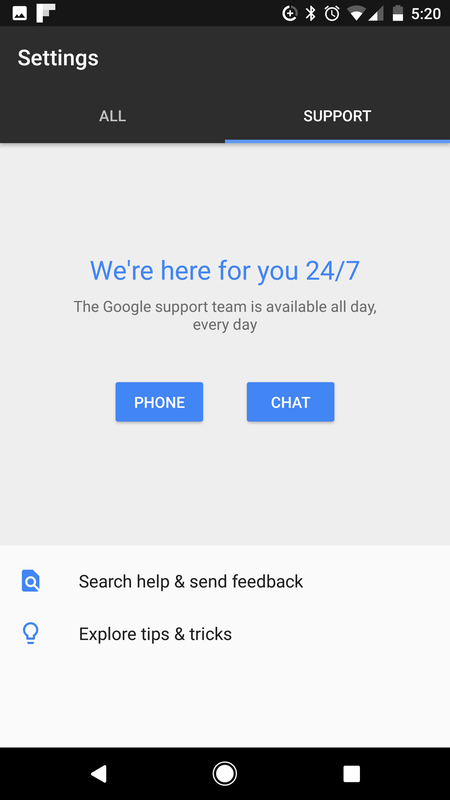 Google is to be commended for including chat support with the new Pixels, which will make navigating these new devices easy for new Pixel users. Of course, Samsung already has its own Samsung+ with its Live Help for Galaxy users that run into snags, and Google has brought this chat support to the Pixels in order to create its own catered-to customer base. 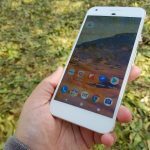 For those who want to get a quick idea about the good and bad of the Pixel and Pixel XL, a good list of pros and cons would prove informative and brief. It is now in the spirit of learning at a glance that I provide a list below of the good, bad, and ugly about the Pixel phones. Android Nougat brings bundled notifications from the same app as well as real time direct reply to text messages from the notification window. Android Nougat brings MultiWindow Mode and notification additions such as Direct Reply and Bundled Notifications, but the latest sweet treat in Android Nougat demands greater functionality and originality in software than what Nougat actually offers. First, Google has abandoned full-blown water resistance for IP53 splash resistance – which is simply not enough for an $850 high-end smartphone. Google says that it “ran out of time” to bump up the IP53 splash resistance on the Pixel and Pixel XL. Even if Google did run out of time, there is no excuse for not adding full-blown water resistance when it expects consumers to shelve out so much money for the Pixels. Next, there is no wireless charging to future-proof device charging, nor is there any optical image stabilization or OIS that would help with user photography skills to prevent blurry photos. 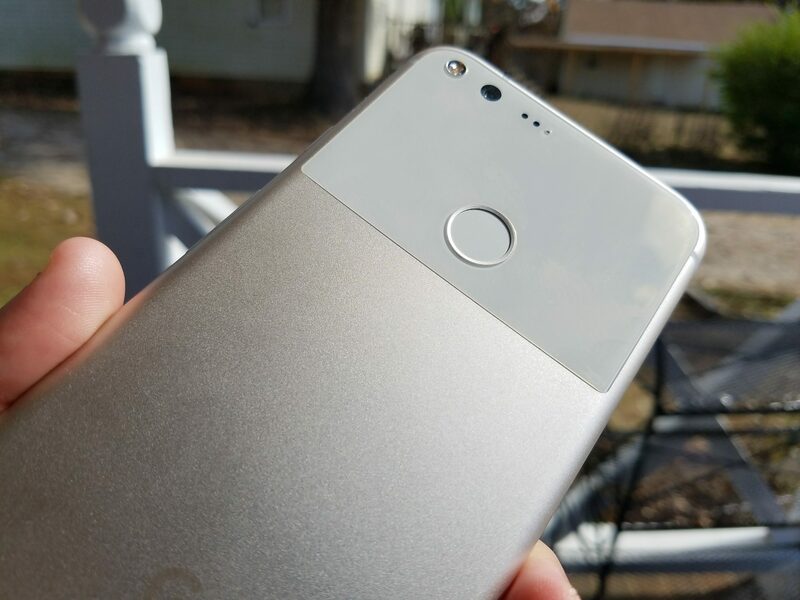 The bottom bezel of the Pixel and Pixel XL would’ve best been served with the addition of a fingerprint sensor-embedded home button below the display instead of a back-mounted fingerprint sensor that can only be used if the phone is in-hand. The bottom-firing speaker has very small audio output, and the second “lookalike” speaker is nothing more than aesthetic design (no audio comes through it to the ear). Additionally, call quality on the Google Pixel XL isn’t nearly as good as the Samsung Galaxy S7 edge. Both phones are Verizon CDMA phones running on Verizon’s network, but the Galaxy S7 edge works flawlessly with calls while the LG G5 and now the Google Pixel XL have connectivity problems with static in the background. In many cases, persons I talked to couldn’t hear me on their end, and these problems are nonexistent on my Galaxy S7 edge. The speaker audio quality isn’t as good as the HTC 10 or the new LG V20, either, and definitely doesn’t match the one audio speaker found on the Galaxy S7 edge. 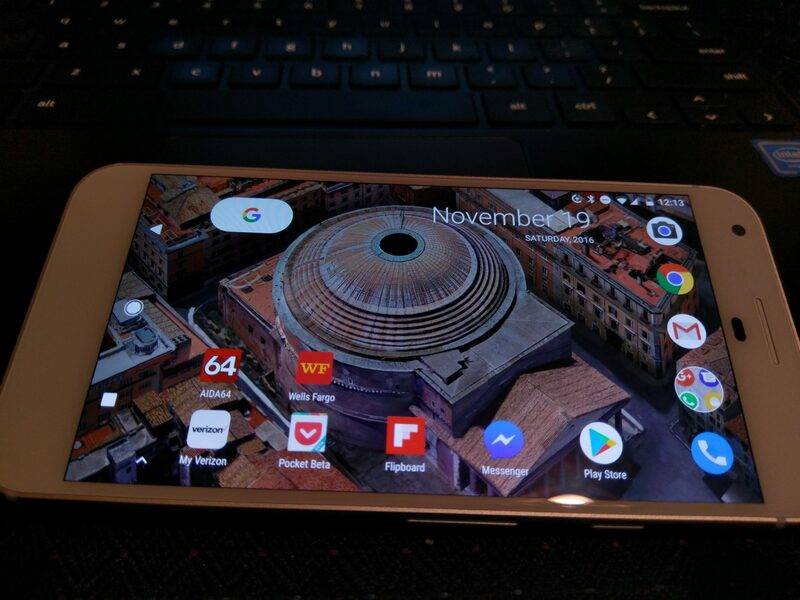 To make matters worse, the Google Pixel and Pixel XL, despite their original elements (Google Assistant, instant chat support, fingerprint gesture moves, and some Android Nougat features such as direct reply and real-time bundled notifications), have iPhone imitation elements that stare me in the face every time I pick up the Google Pixel XL. The design of the device looks like an iPhone 6s Plus or iPhone 7 Plus for two-thirds of the back cover, with the top third seeming to be the iPhone 4s resurrected. It just seems as though the design was a rushed attempt by Google to bring a phone to market; it is an atrocity to good design to craft a smartphone with two different build qualities present from the back cover. 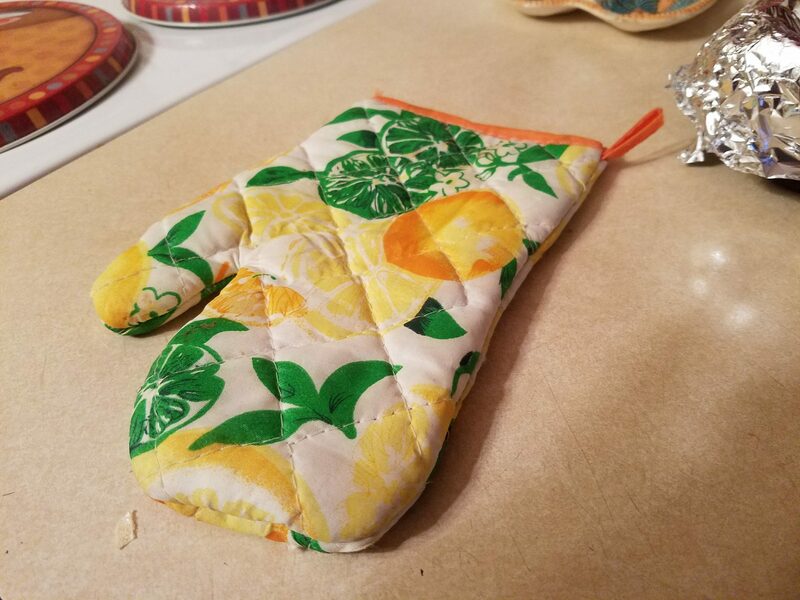 It appears to be “tacky,” bad taste, bad quality design, and a major flaw that the search engine giant shouldn’t have made for a device costing around $700. The back cover says “iPhone,” but so does the 3D Touch functionality present in the Pixel Launcher. Google added 3D Touch to the Pixel Launcher and it works the exact same way as it does on the iPhone. Remember how you could turn the iPhone 6 Plus in landscape mode and the desktop icons would turn with it? Google has even added this feature in the new Pixel and Pixel XL by way of the Pixel Launcher. 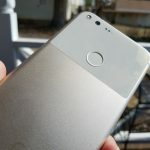 The marketing itself is deceptive too, as Google said that the Pixels were its own, “built from the ground up,” when in fact Google hired HTC to produce the devices, HTC batteries were used in them, and Samsung AMOLED panels were employed along with Corning’s Gorilla Glass 4 displays in the effort. Google’s marketing has been designed to claim that it, like Apple, makes its own hardware and software, but Apple can’t claim that either. The iPhone 7 and iPhone 7 Plus are claimed by Apple to have the perfect integration of hardware and software, but Apple used Intel modems for some of its devices, Corning Gorilla Glass panels for its display, and NAND flash storage from Toshiba, and RAM by TSMC. Apple and Google had involvement in crafting their devices from beginning to end, but they didn’t have one-hundred percent, hands-on involvement. And I think claims of “these are the company’s very own devices” seem to suggest total hands-on involvement when you can read any simple device teardown to see that the claim isn’t true. In contrast to devices that lack much of what would make them future-proof, Samsung’s Galaxy S7 and Galaxy S7 edge bring much more: IP68 water and dust resistance, wireless charging, optical image stabilization (OIS), its own trademark dual-edge design and award-winning AMOLED display, edge panels and functionality for the S7 edge, Samsung’s own Theme Store, fingerprint sensor-embedded home button, Samsung Pay that works with NFC terminals and traditional card readers (as opposed to Android Pay that works with NFC terminals only), and a very gorgeous, solid design that comes in sophisticated colors. The only customers I can see picking up the Pixel and Pixel XL are those that love vanilla Android, cherish fast updates, want to have the latest in Android before everyone else, and want VR on their non-Samsung, Android device before the rest of the user base. If these things aren’t as high on your priority list, though (you’re not alone), Samsung’s Galaxy S7 and Galaxy S7 edge are the two best flagships in the business. The S7 edge can hold its own with the Pixel and Pixel XL in photography; and Samsung users don’t have to wait for MultiWindow Mode to land on the Pixels and LG V20 because they already have it on their Samsung devices running Android Marshmallow. Unlike the Pixel and Pixel XL that are Verizon exclusives here in the US, which puts them out of the running for the top flagships of 2016, the S7 and S7 edge are available on the top 5 popular carriers here in the US (Verizon, AT&T, T-Mobile, Sprint, US Cellular). I can’t endorse the Galaxy S7 Active, an AT&T exclusive, as the top flagship this year, and I won’t endorse the Google Pixel or Pixel XL, either, as the top flagships. Carrier-exclusive flagships are automatically disqualified because they’re not accessible to consumers on all major carriers. If manufacturers believe their phones are the best, then all major carriers should have access to them. Google shot itself in the foot when it made the Pixel and Pixel XL Verizon-exclusive. 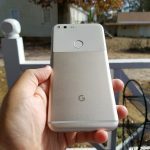 In the final analysis, then, the Pixel and Pixel XL are good phones, enjoyable phones even, with a world-class camera and voice assistant that will impress even the most ardent Samsung fans, but even with stellar cameras and voice command, Samsung has Google beat when it comes to innovative design and functionality. Samsung’s Galaxy S7 and Galaxy S7 edge are the best phones of the year, and Google’s Pixel and Pixel XL take a distant second place. “She currently writes for SamMobile, the largest Samsung fan site worldwide” Explains why this review is so biased. I have read a lot of Pixel reviews and NONE of the others came close to what she writes.